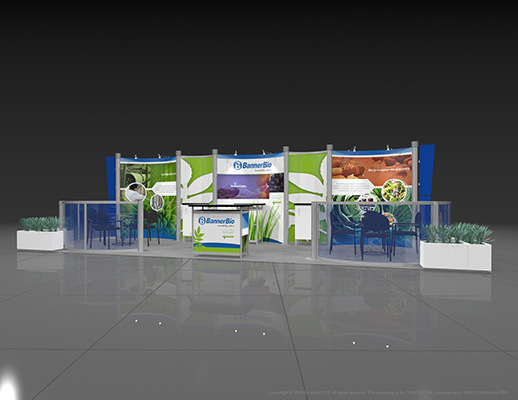 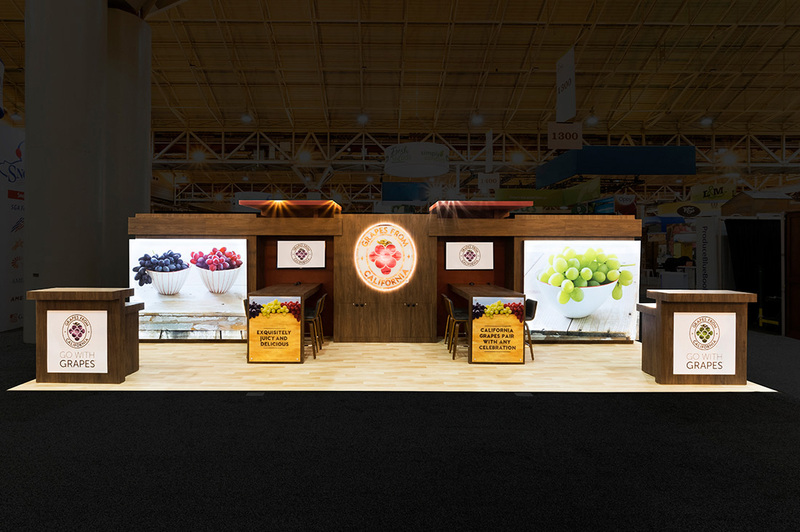 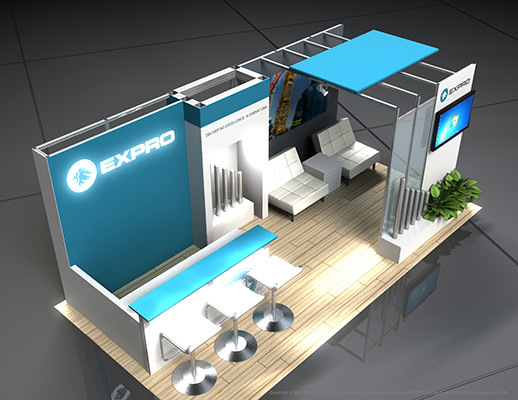 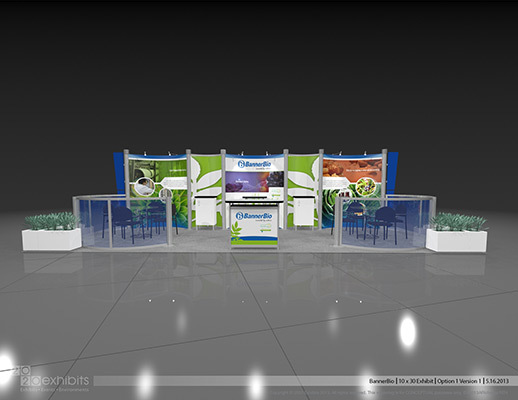 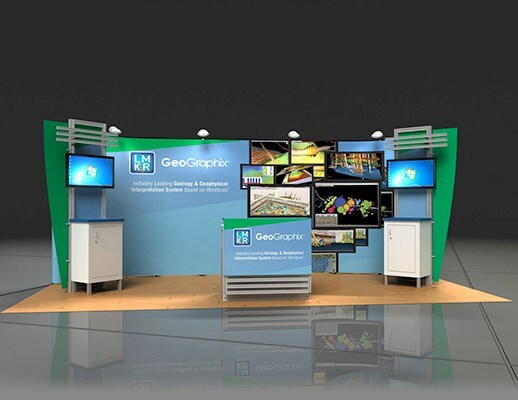 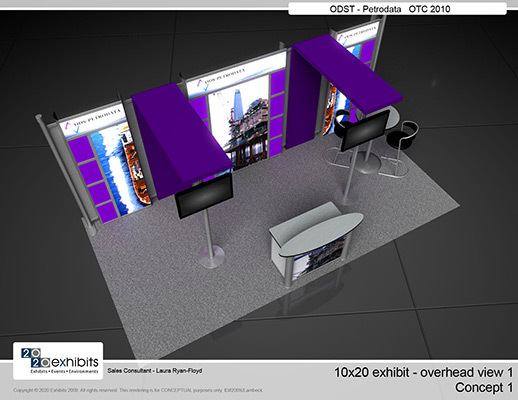 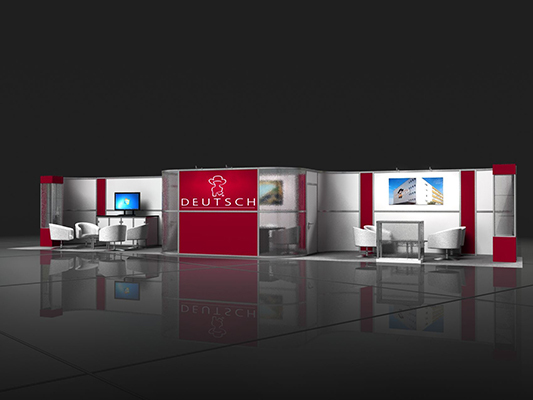 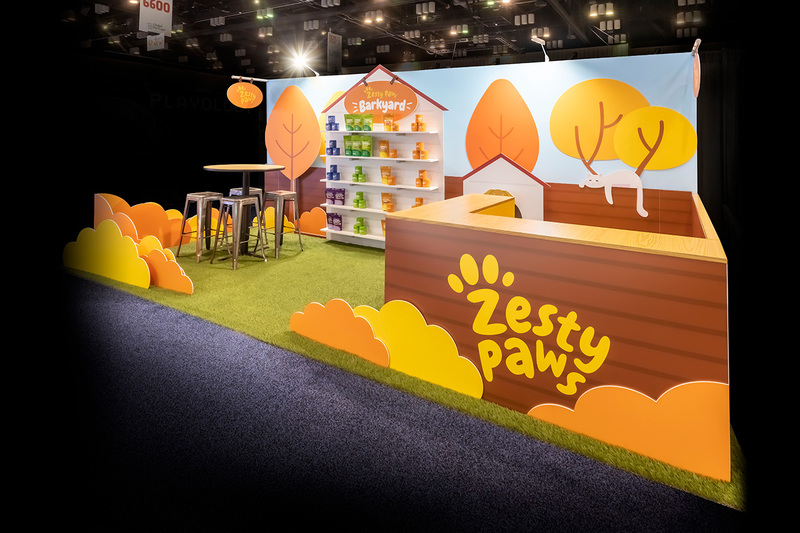 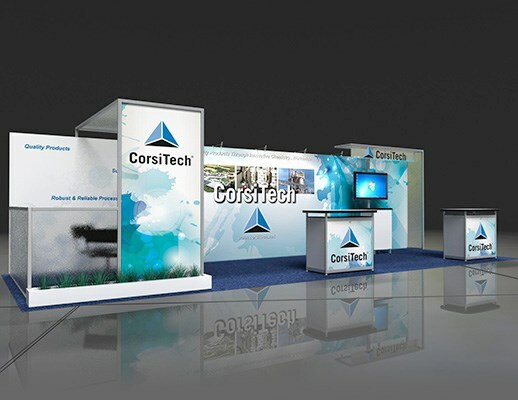 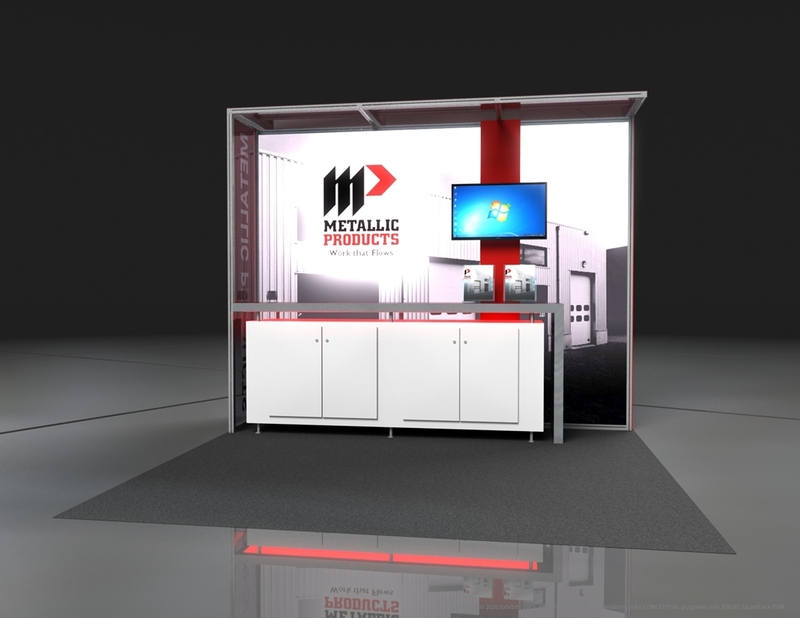 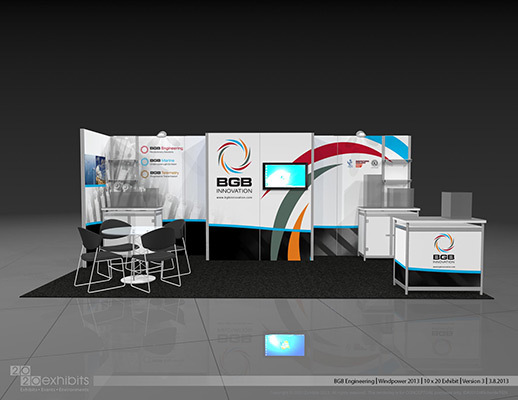 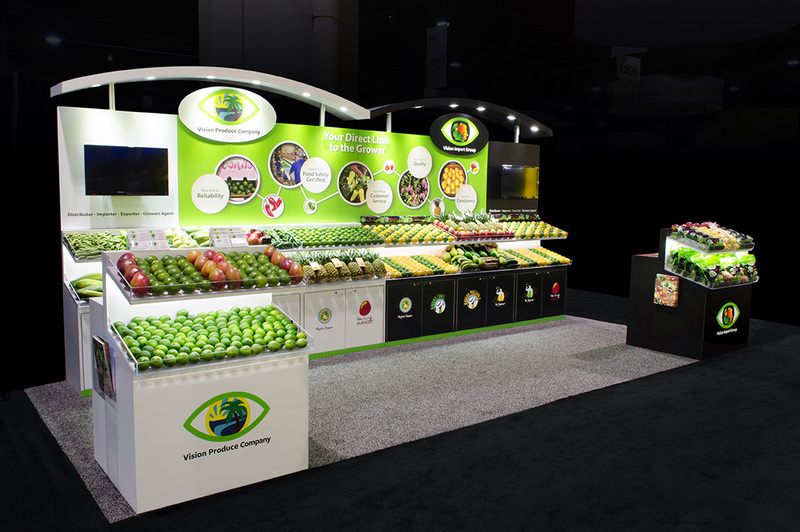 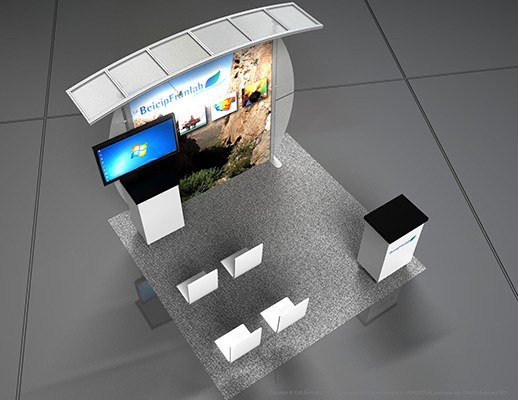 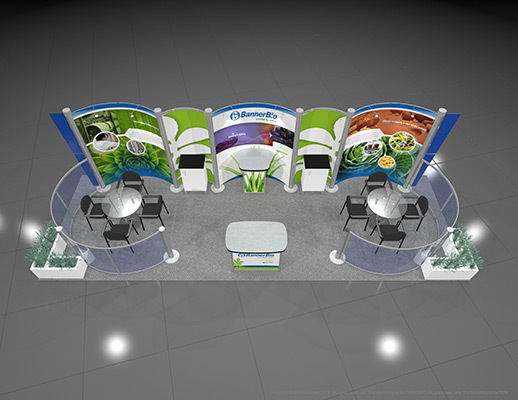 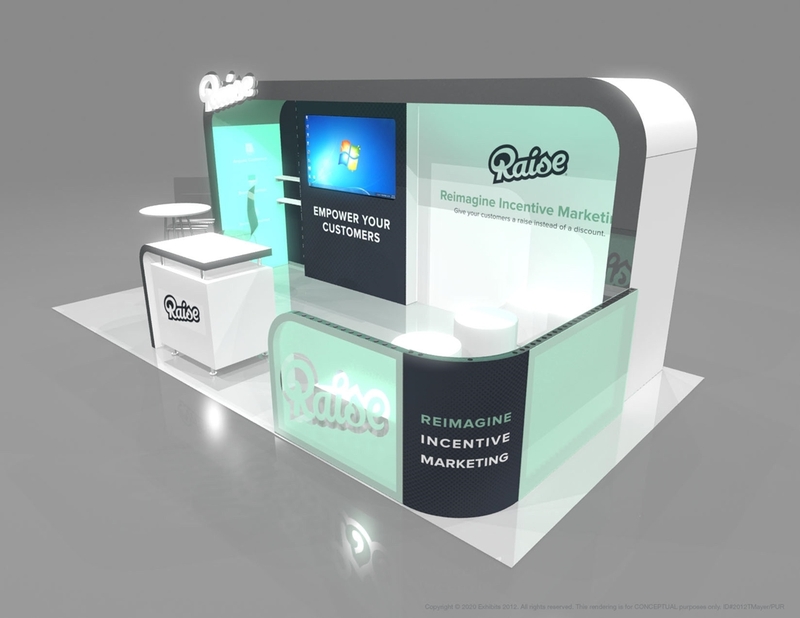 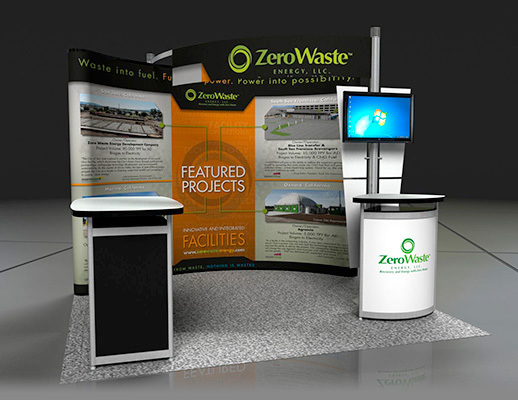 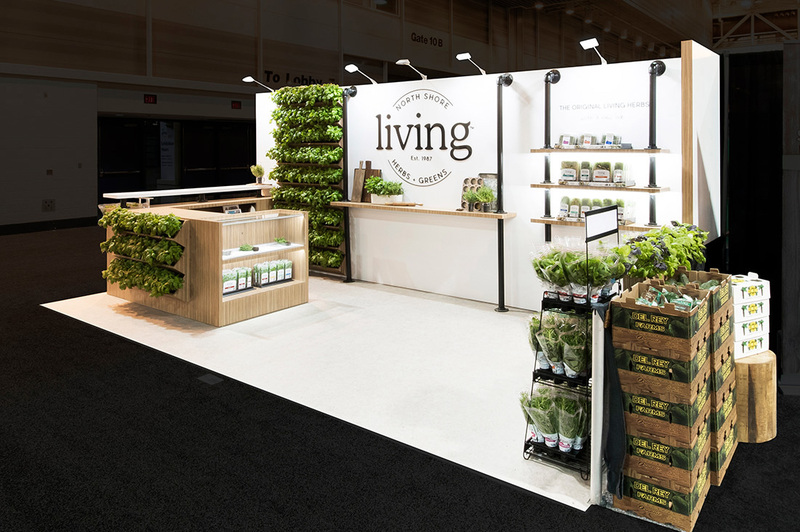 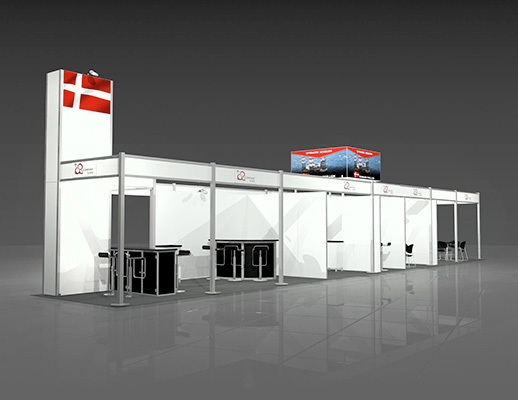 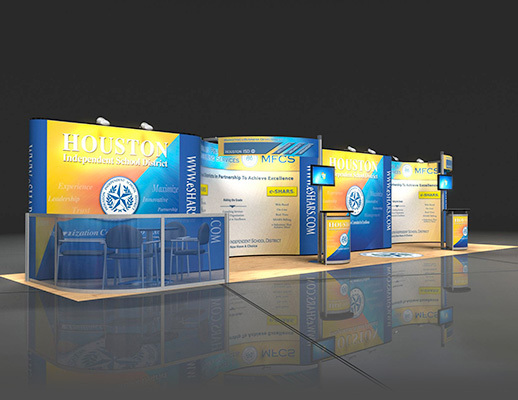 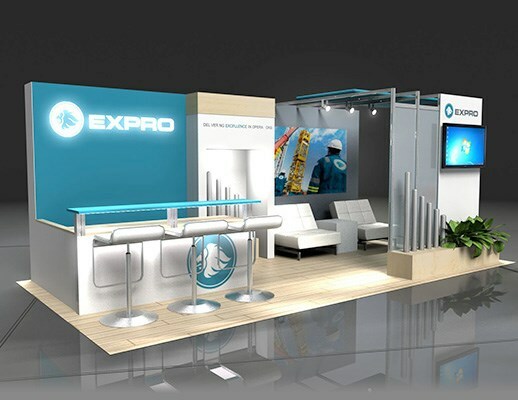 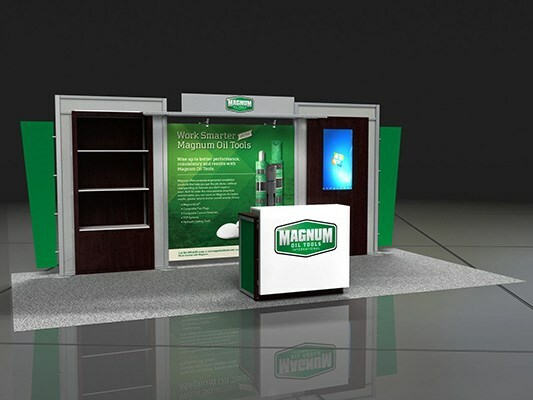 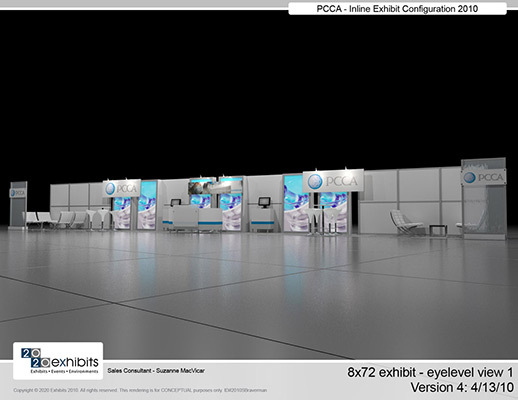 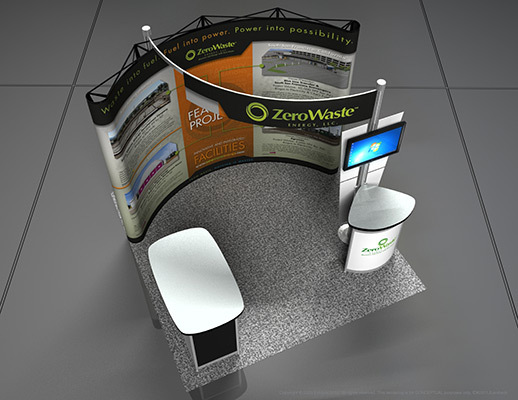 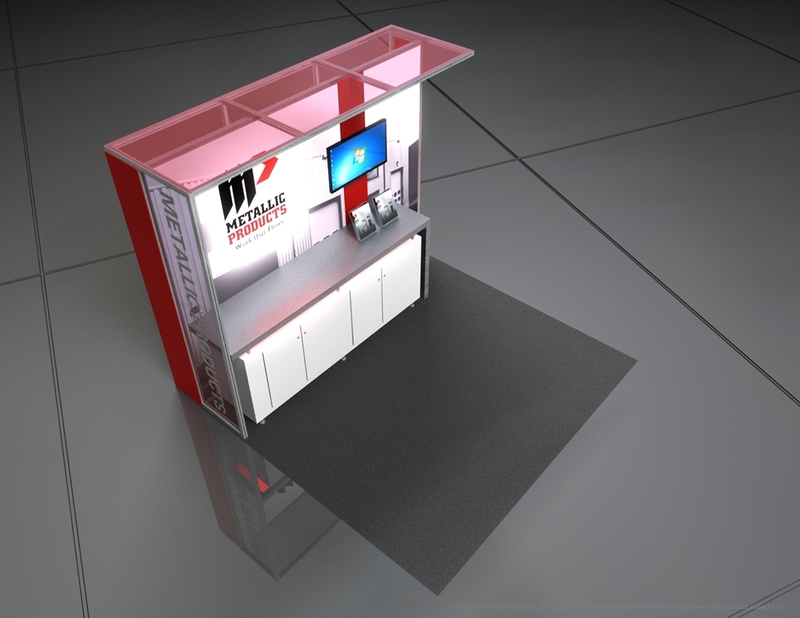 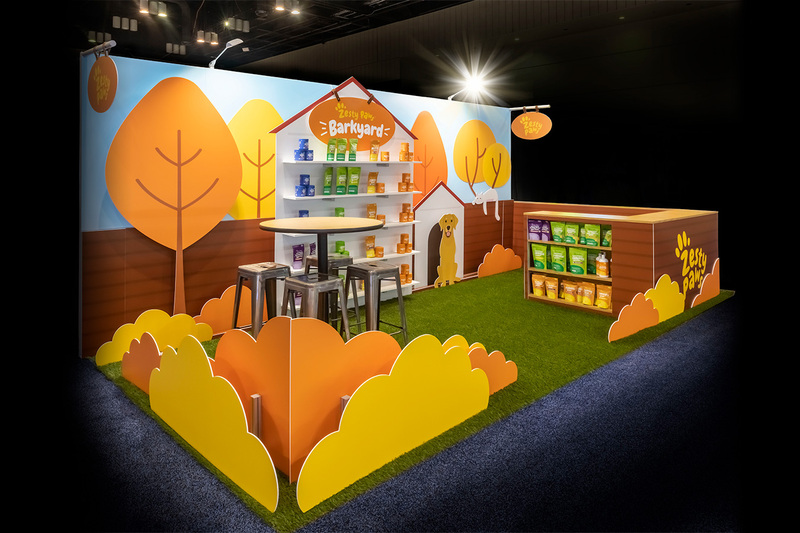 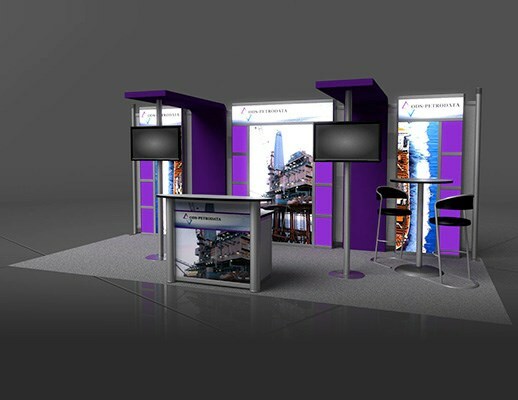 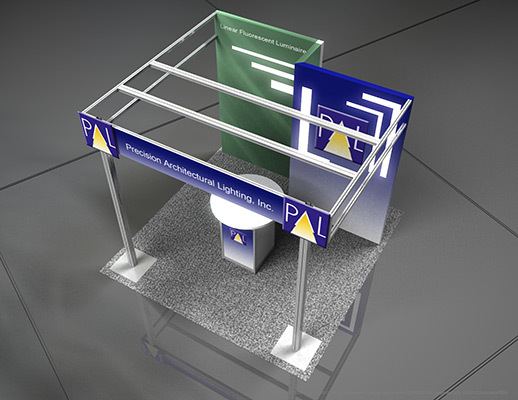 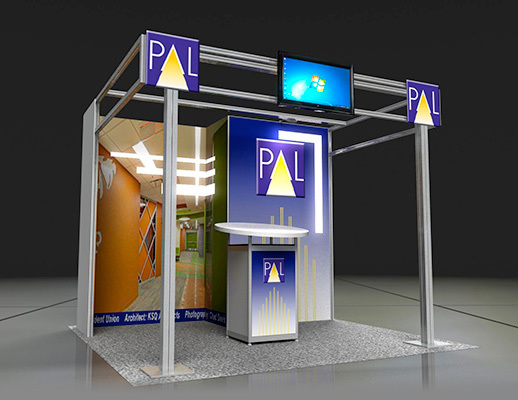 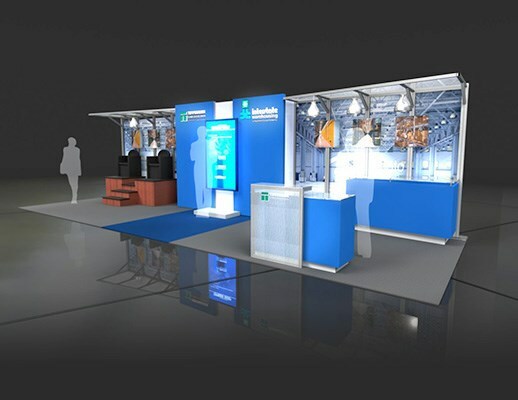 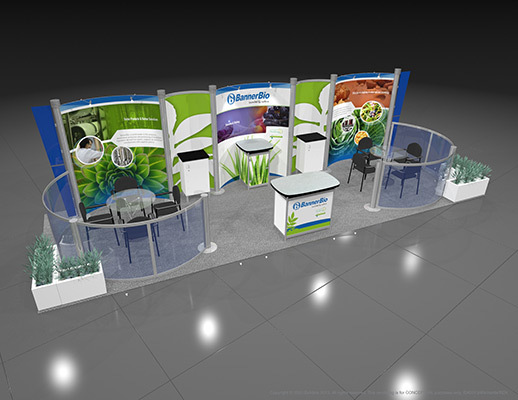 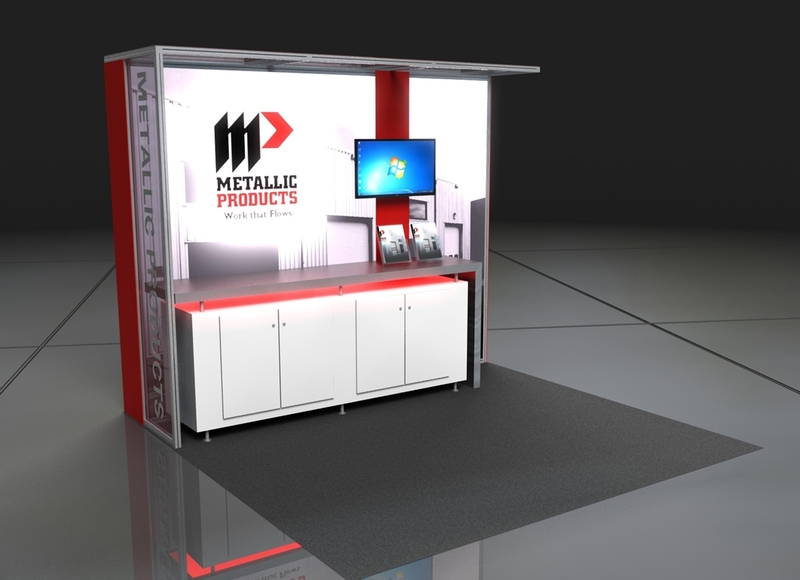 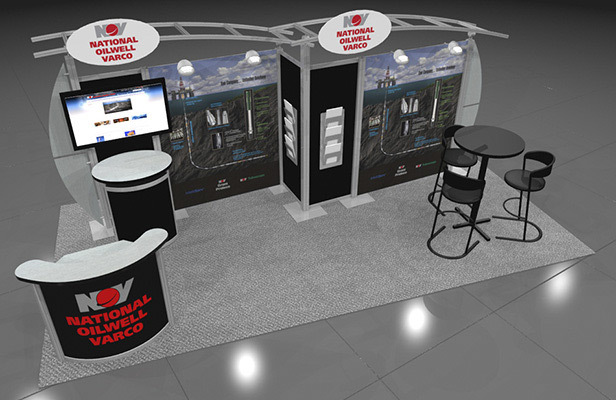 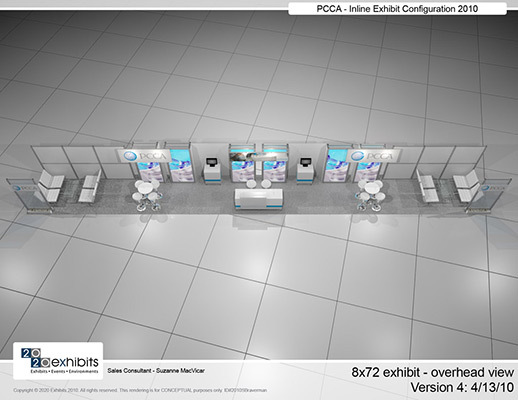 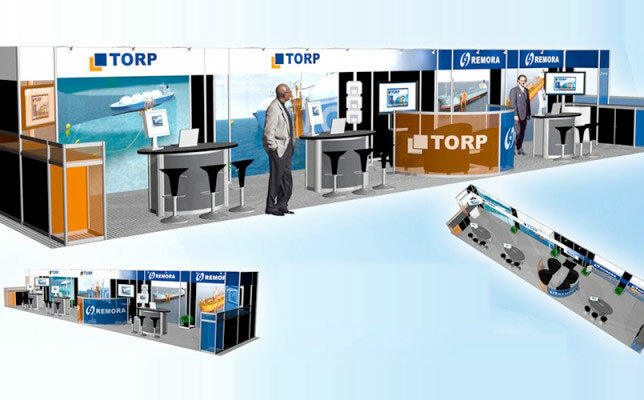 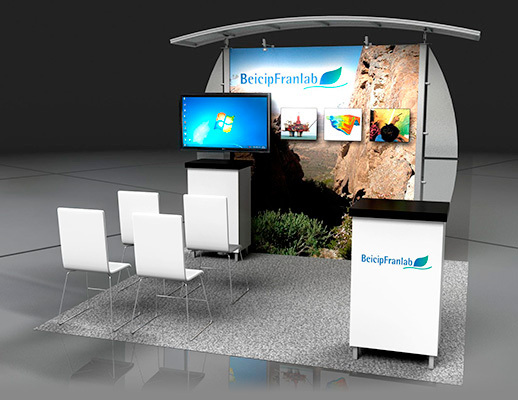 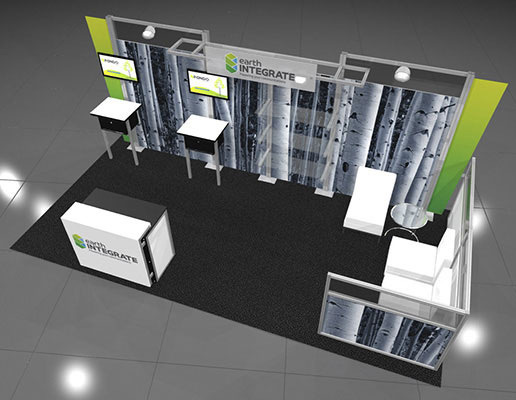 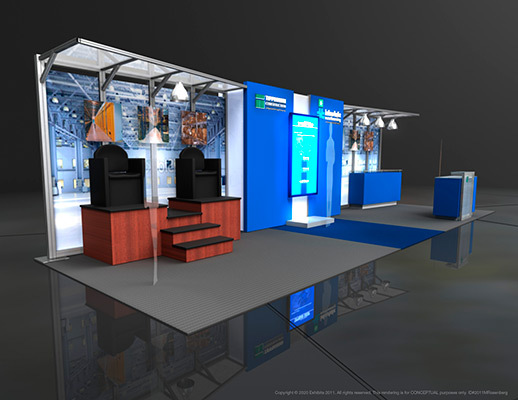 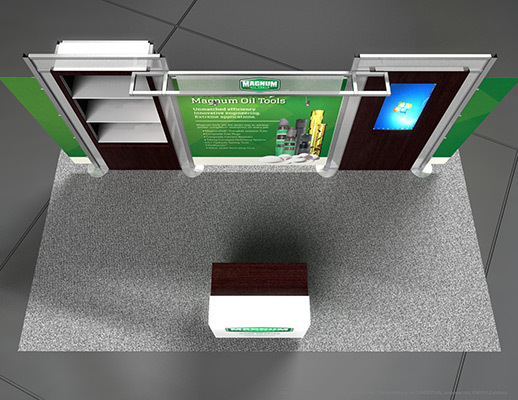 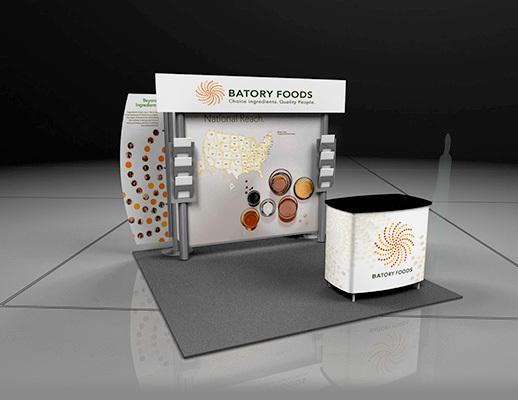 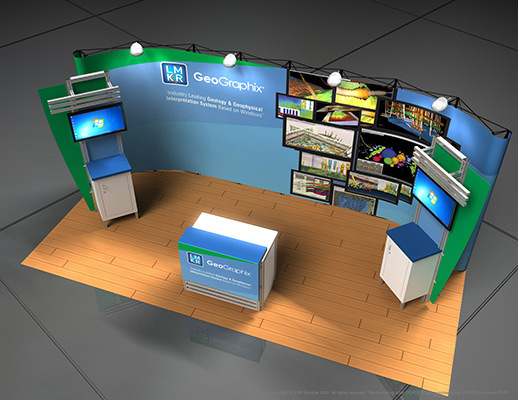 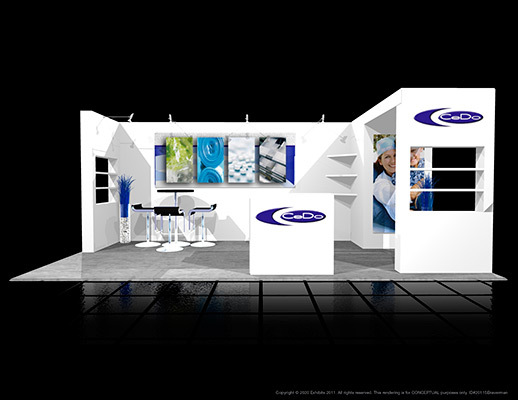 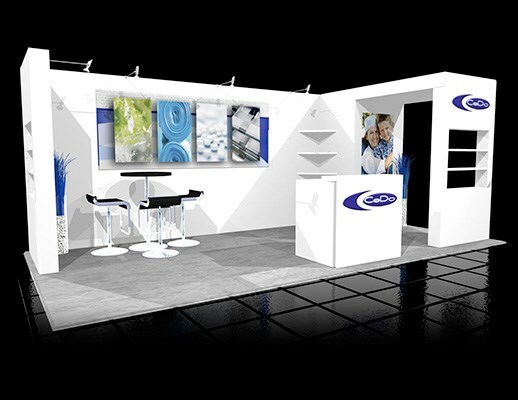 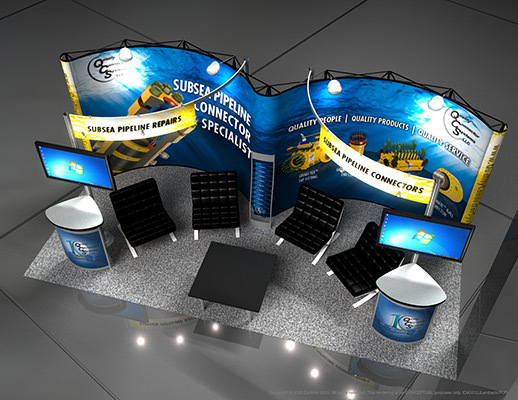 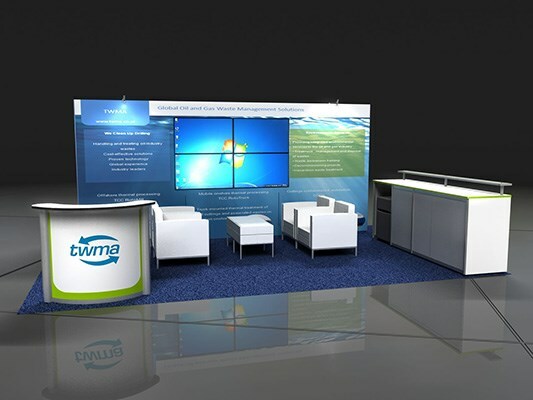 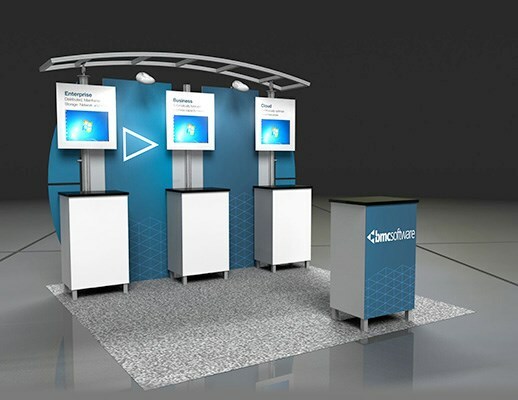 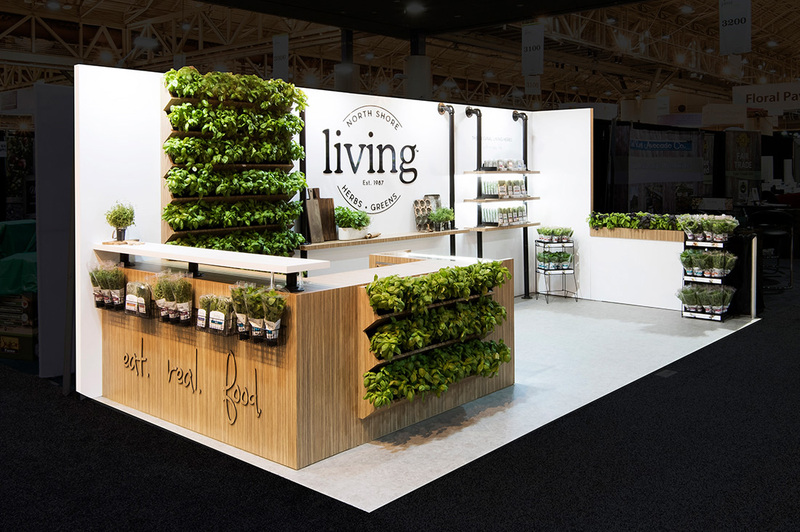 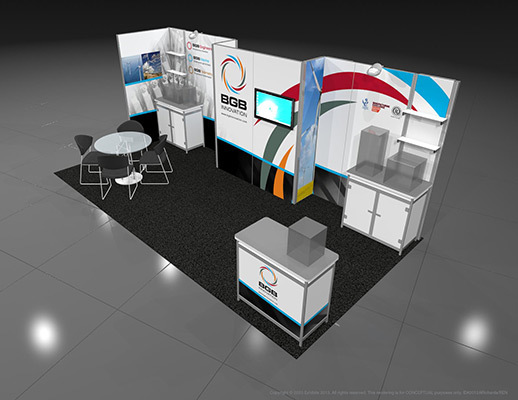 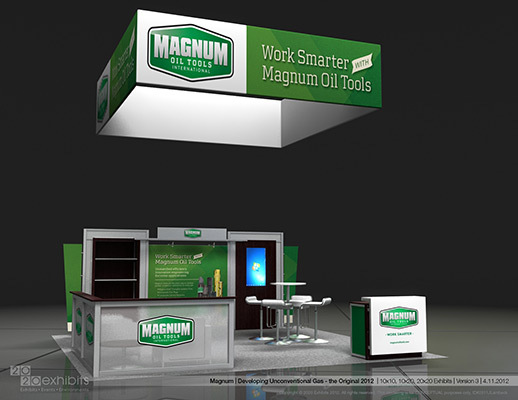 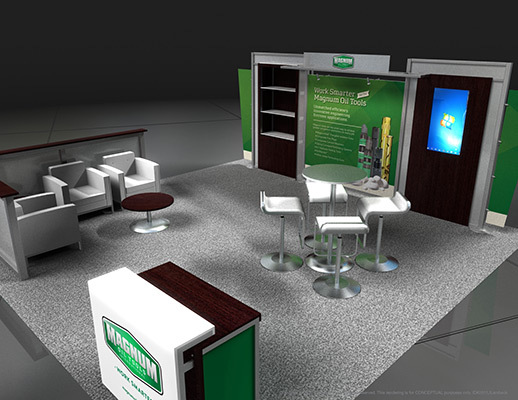 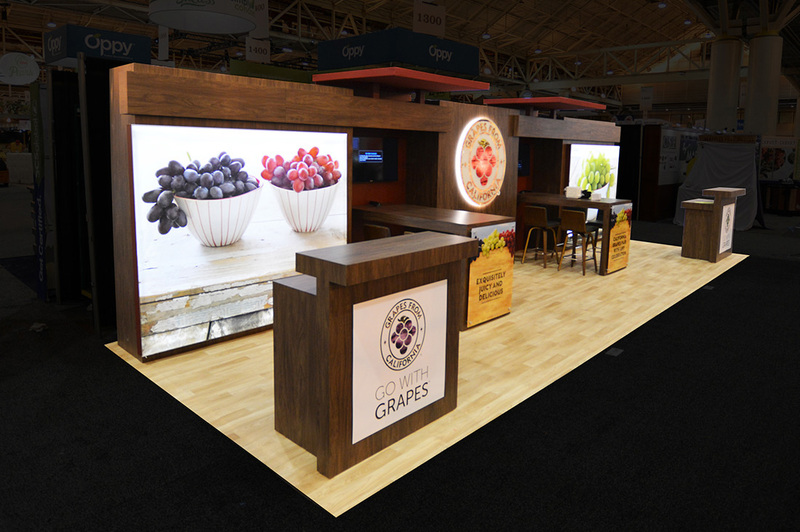 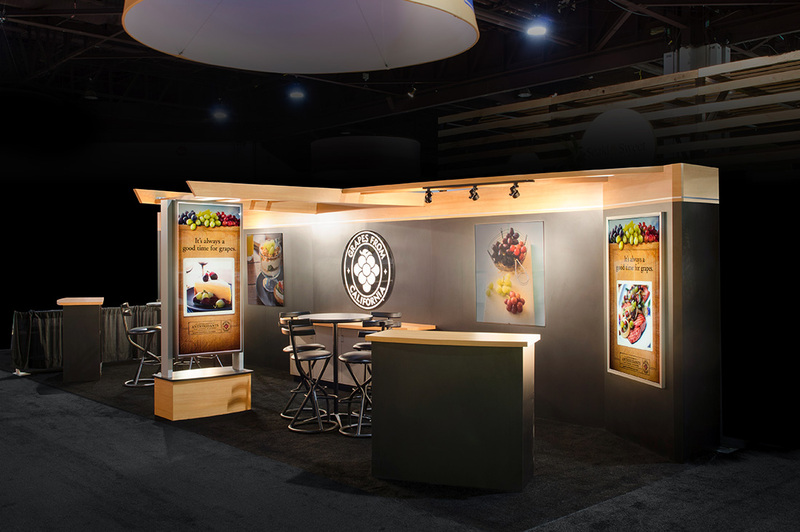 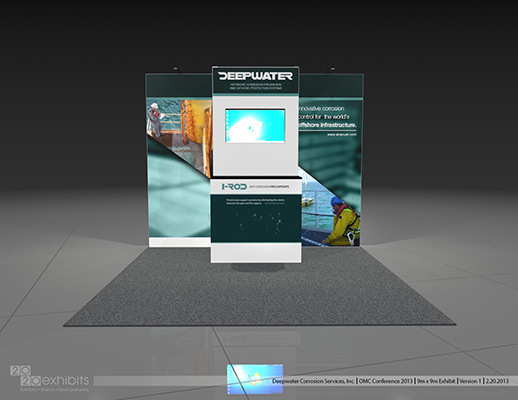 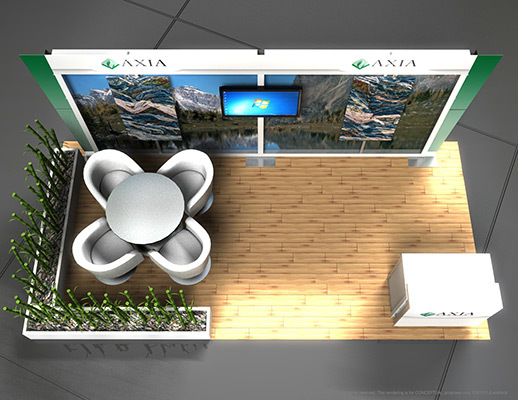 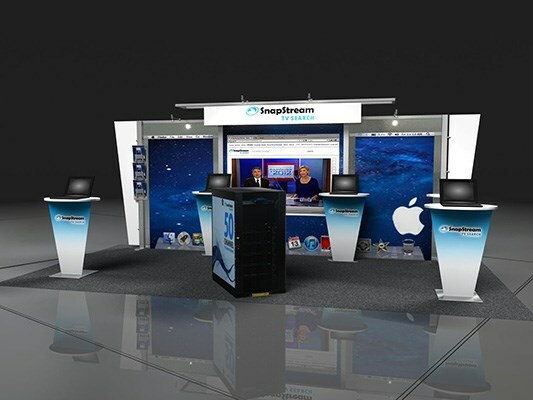 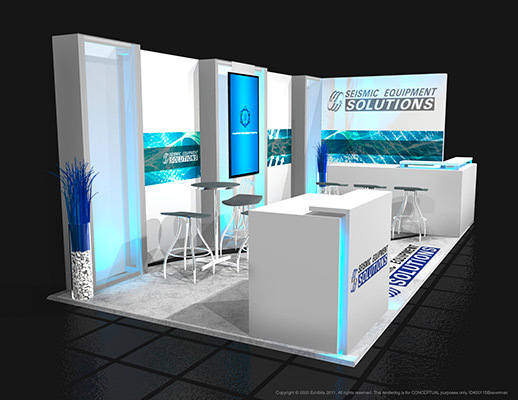 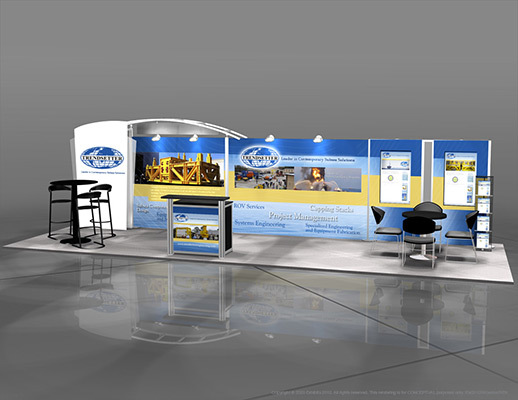 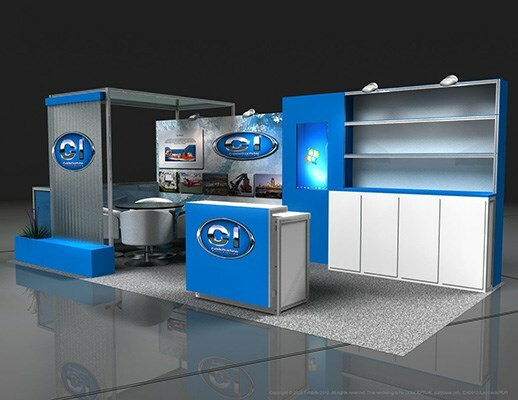 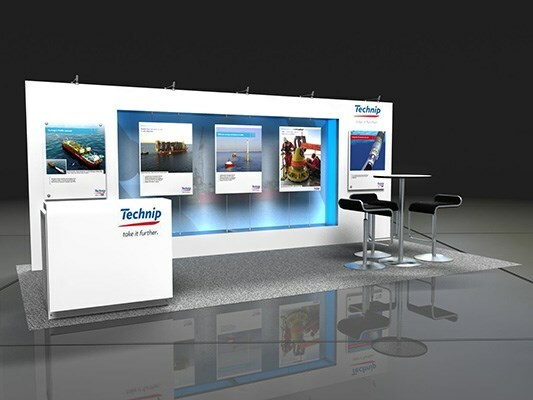 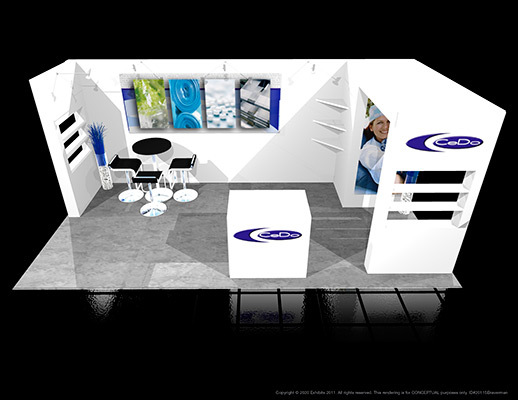 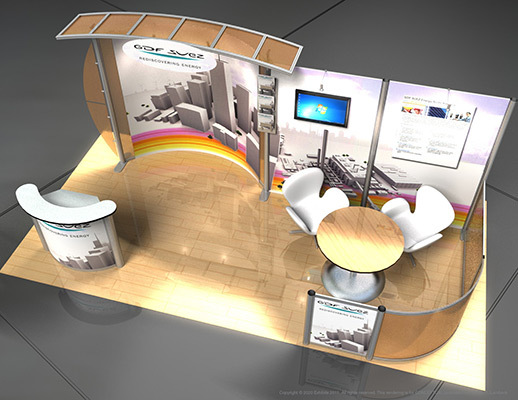 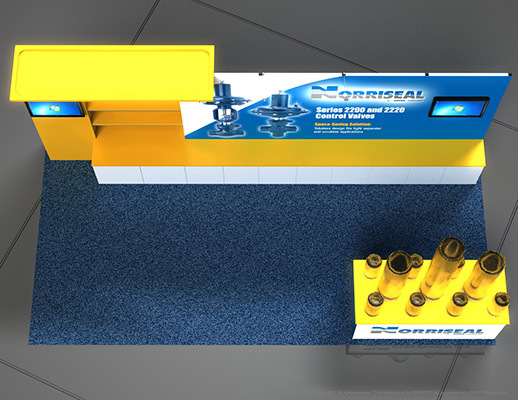 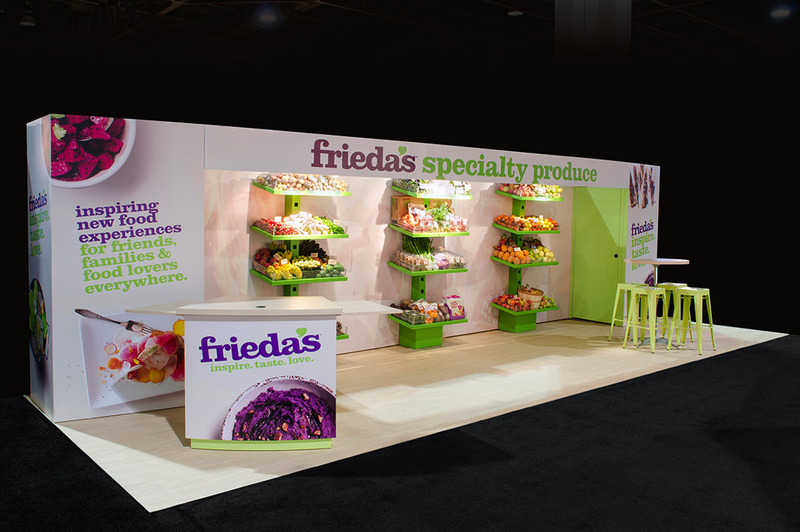 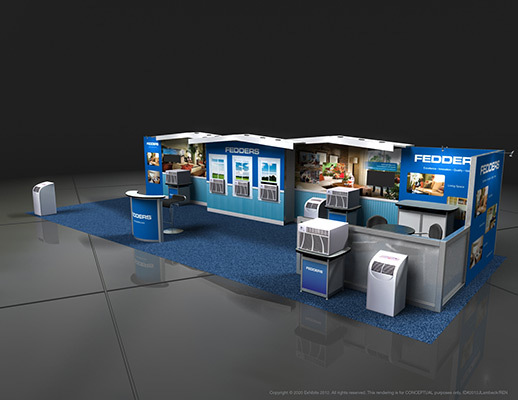 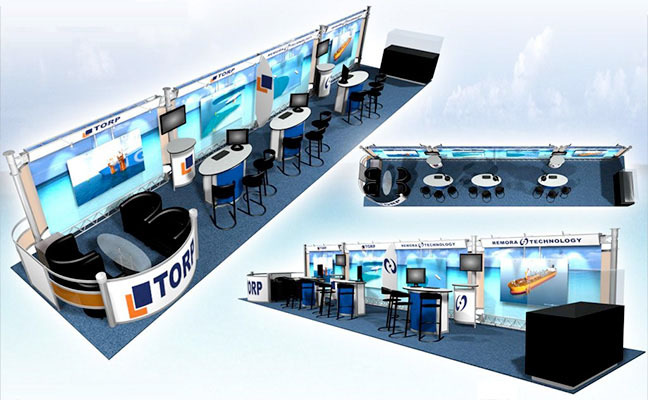 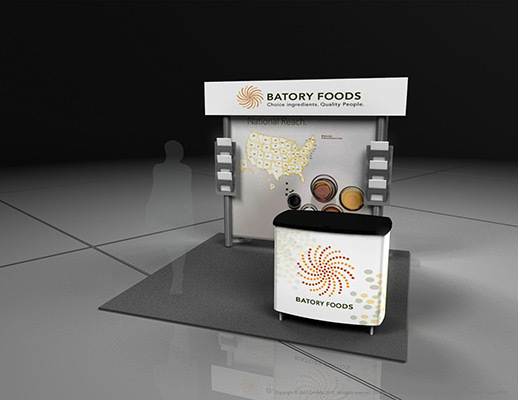 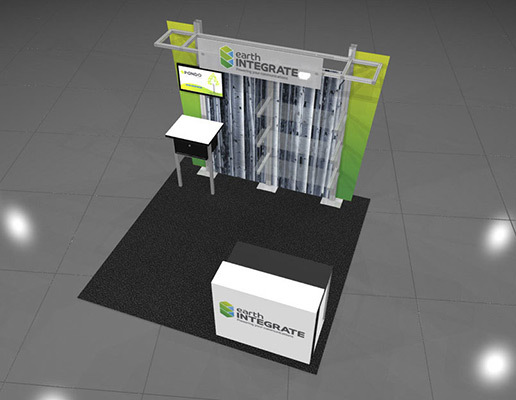 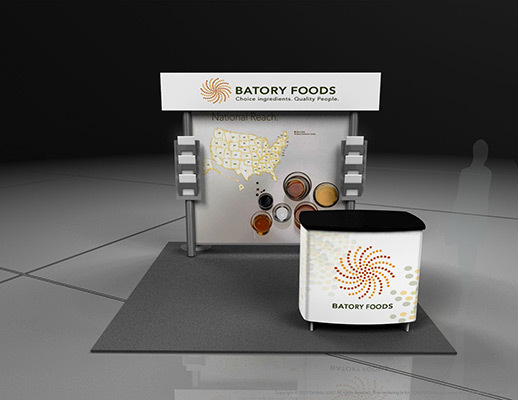 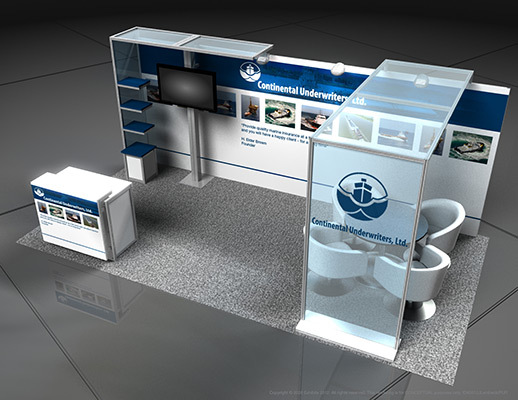 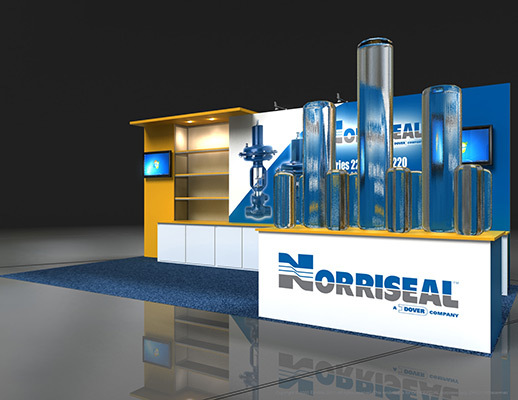 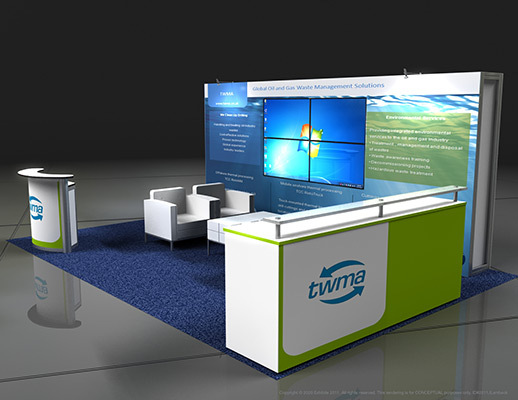 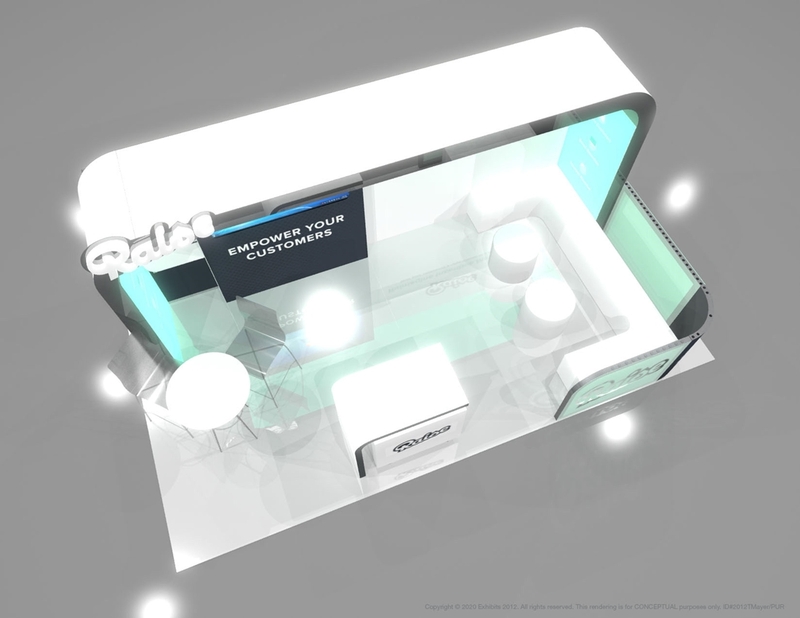 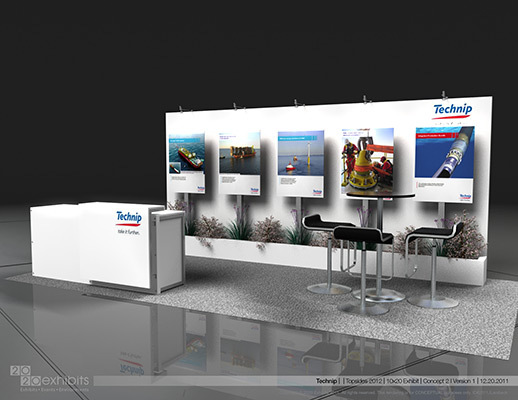 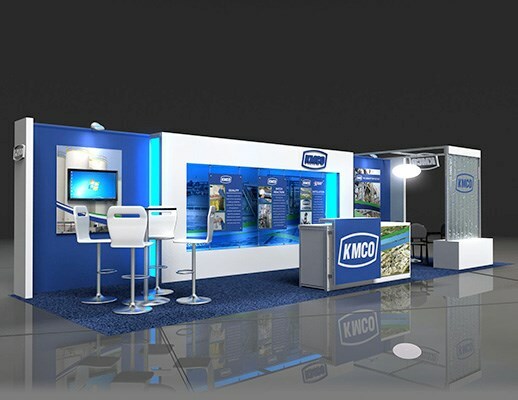 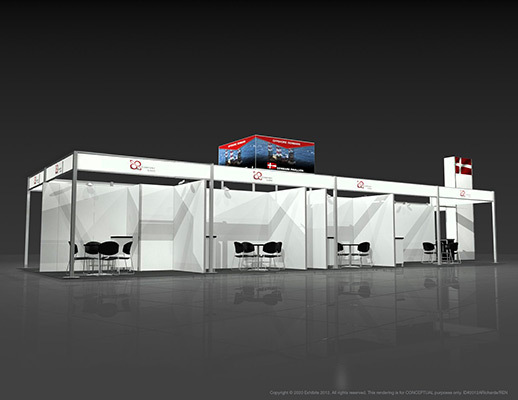 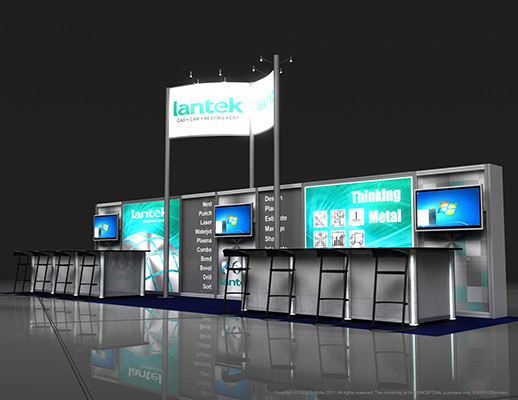 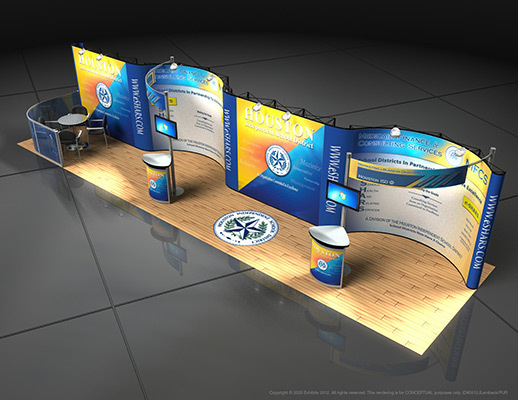 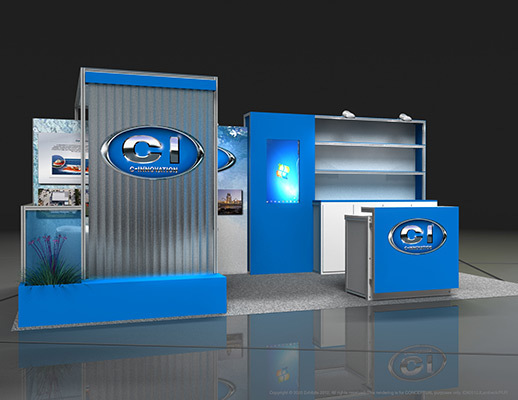 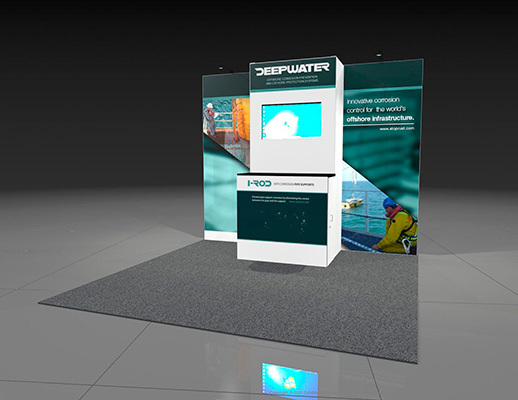 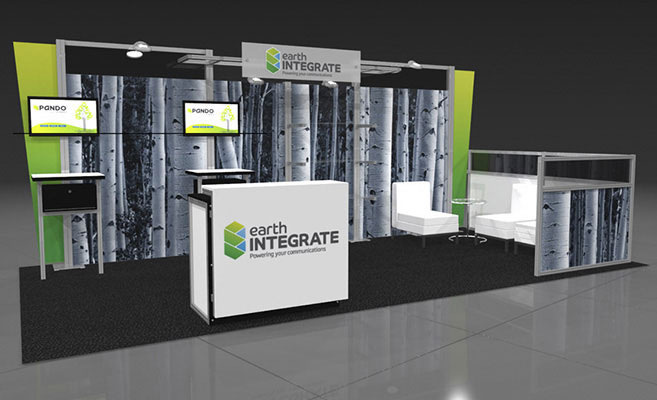 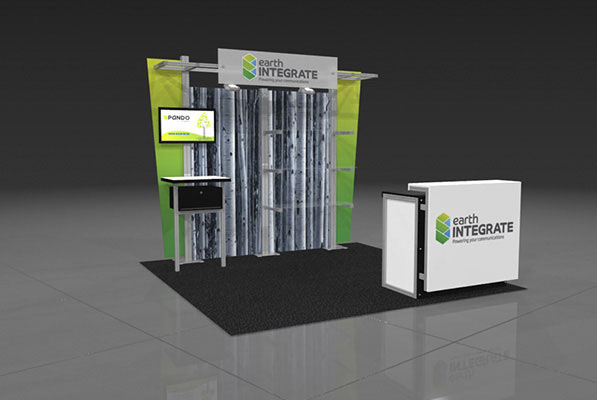 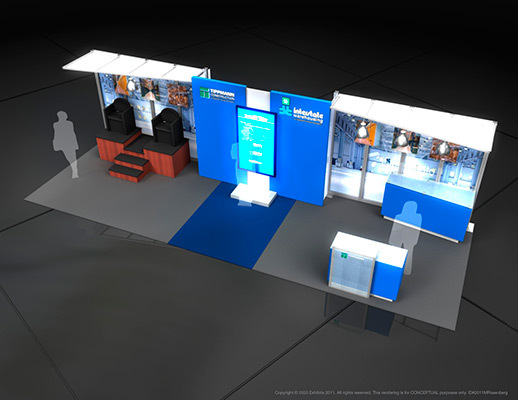 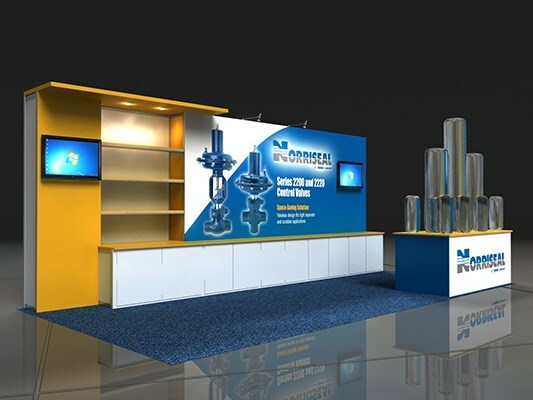 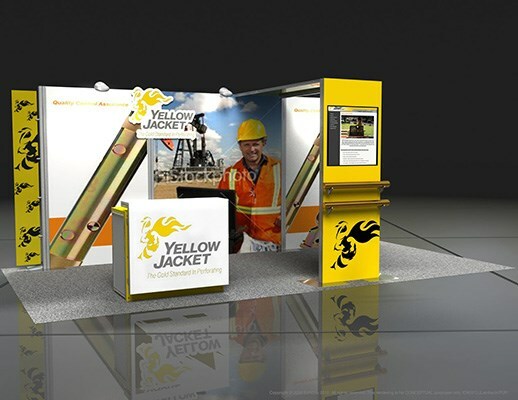 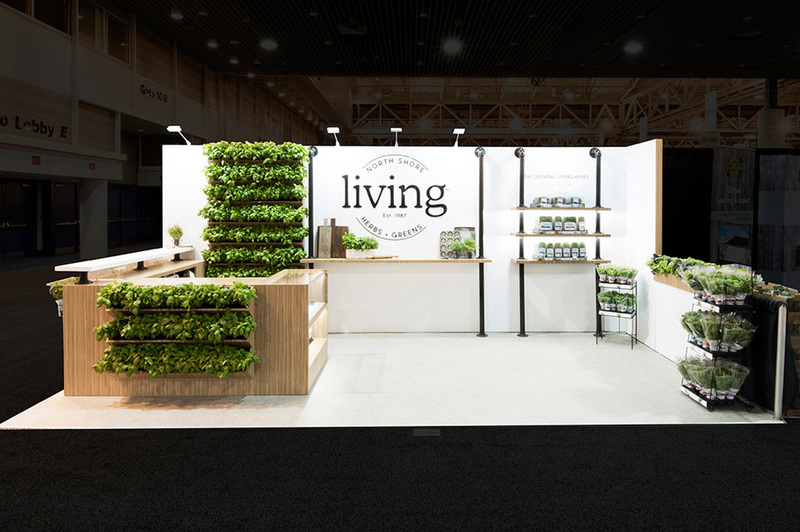 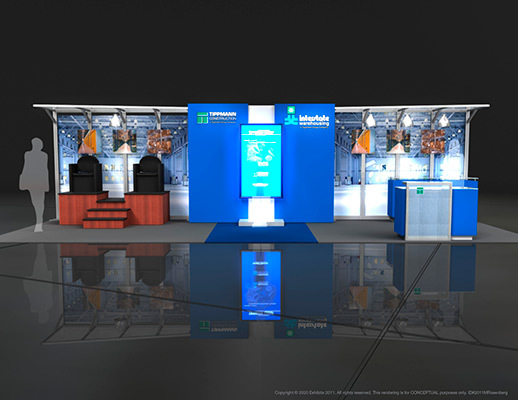 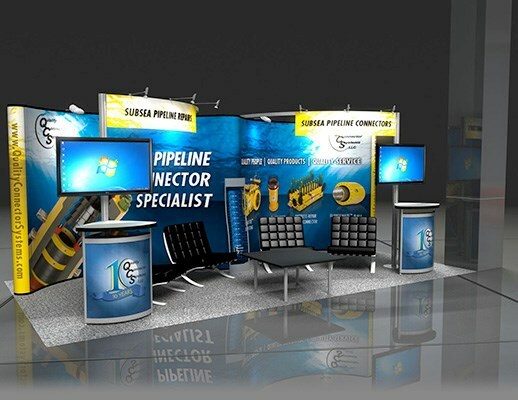 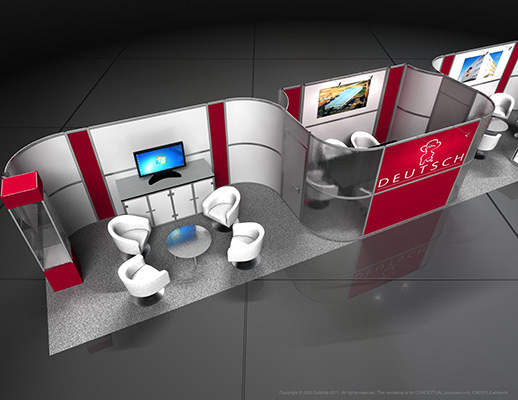 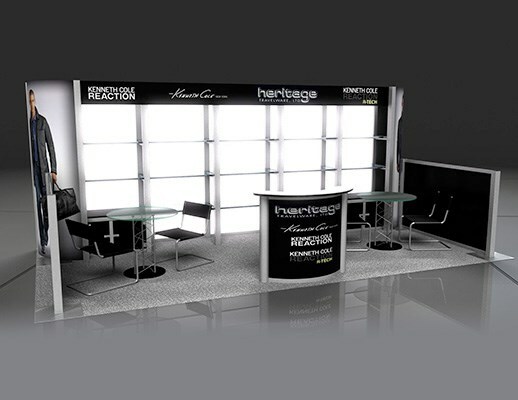 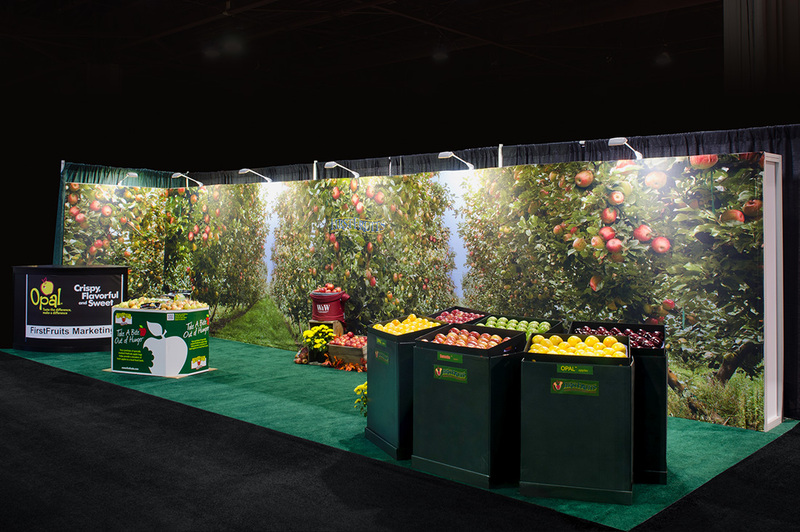 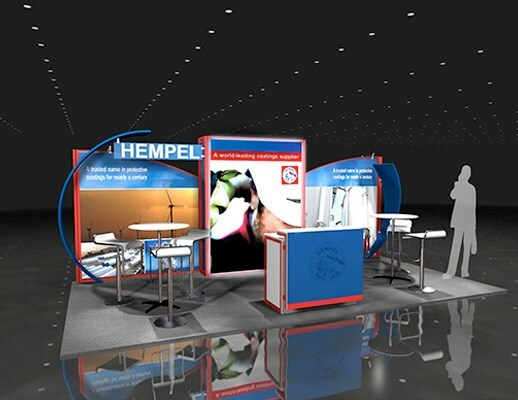 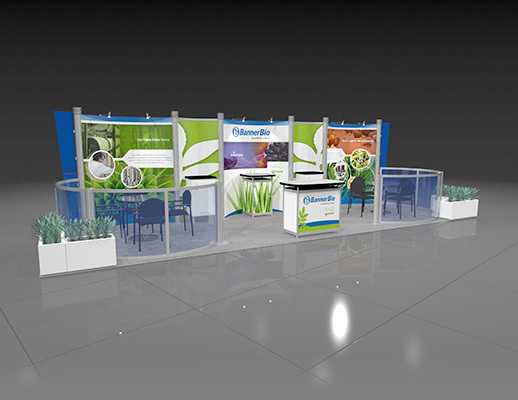 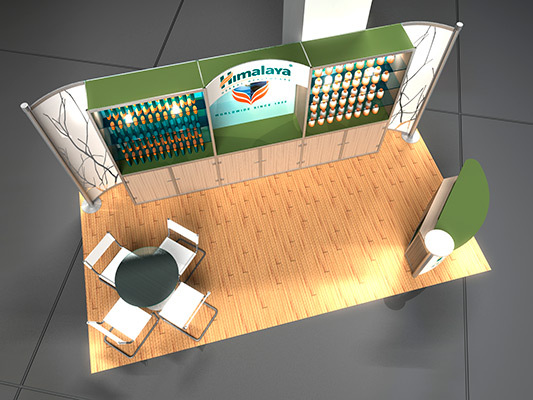 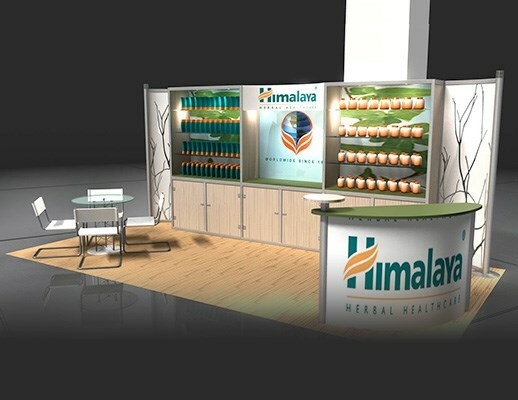 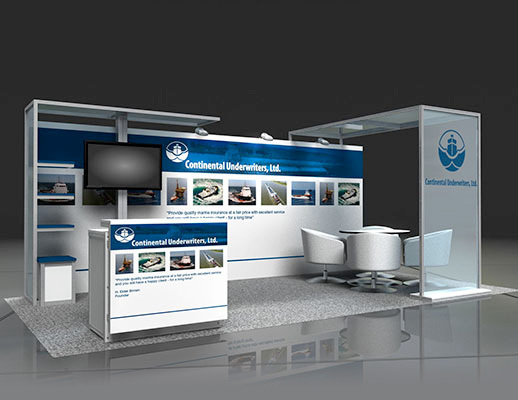 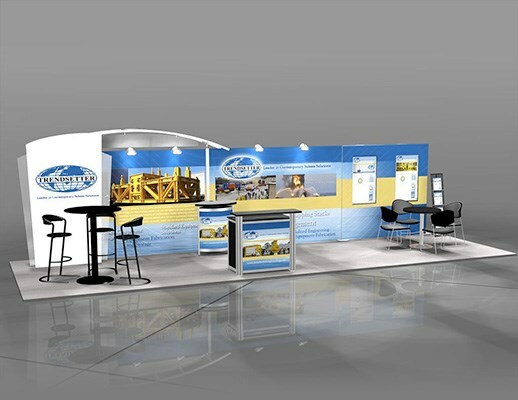 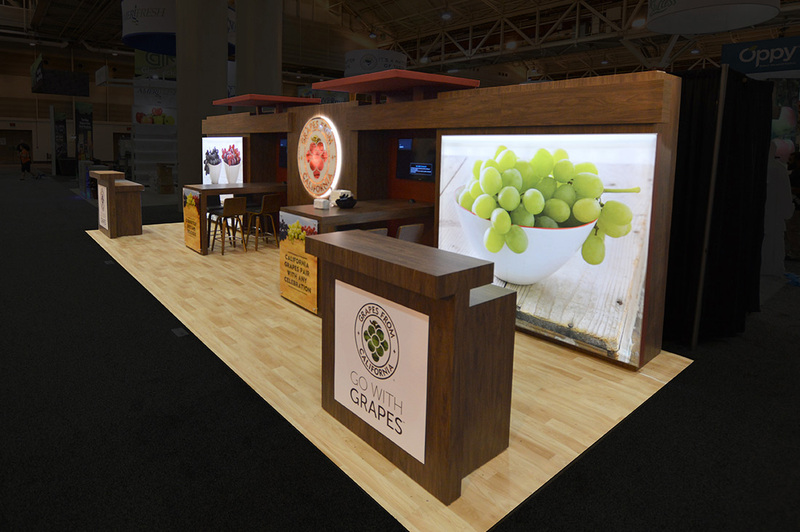 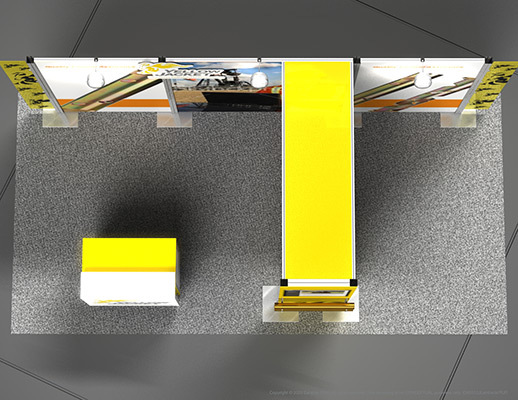 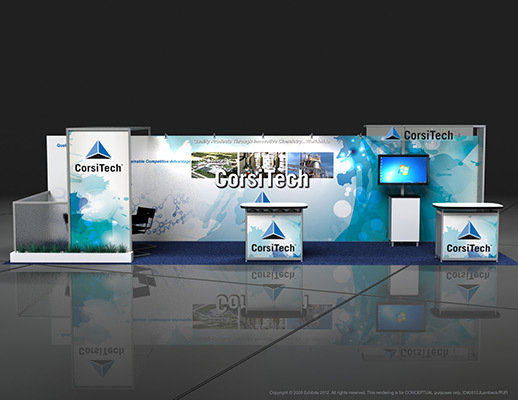 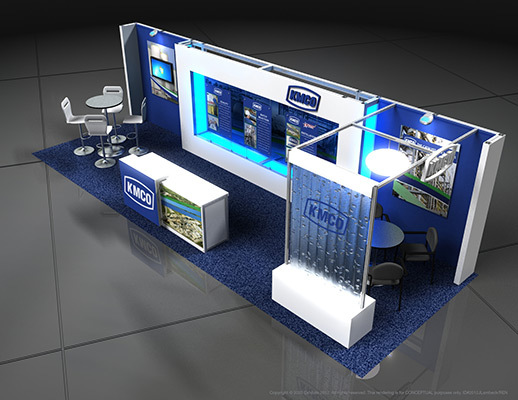 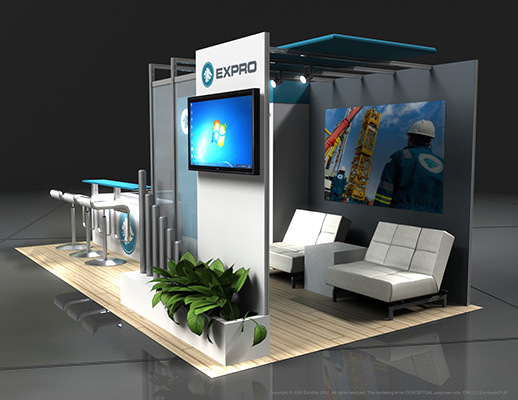 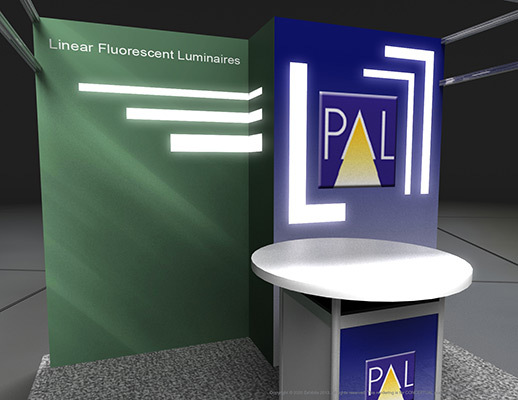 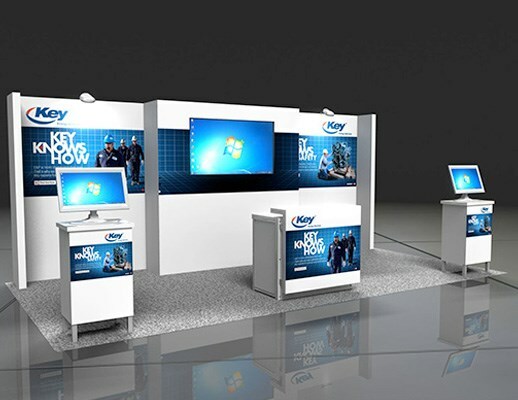 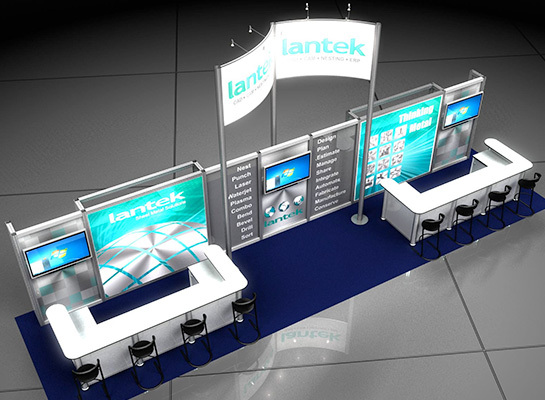 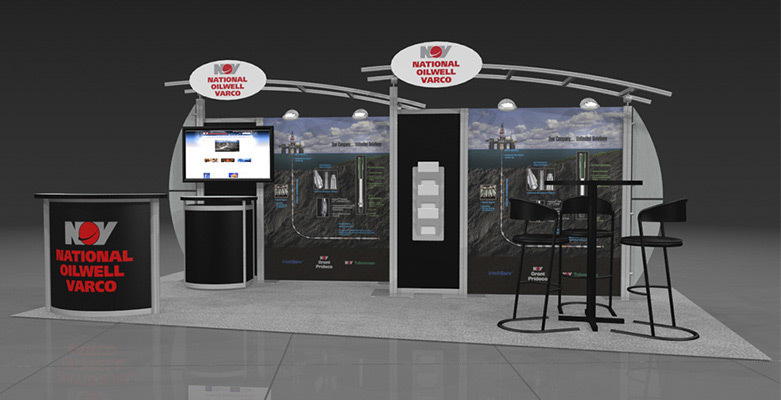 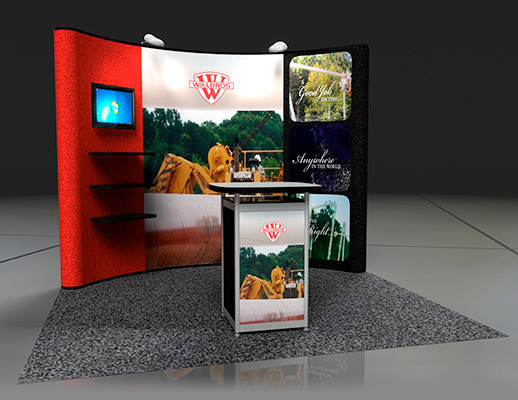 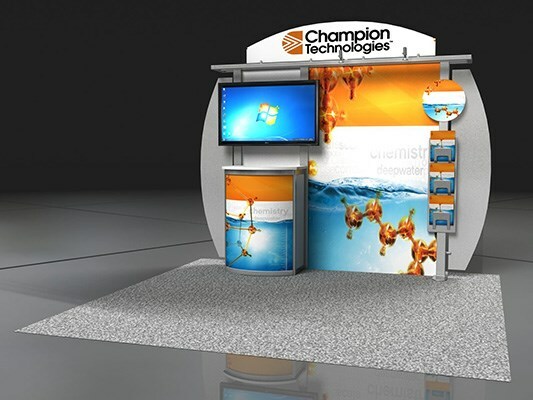 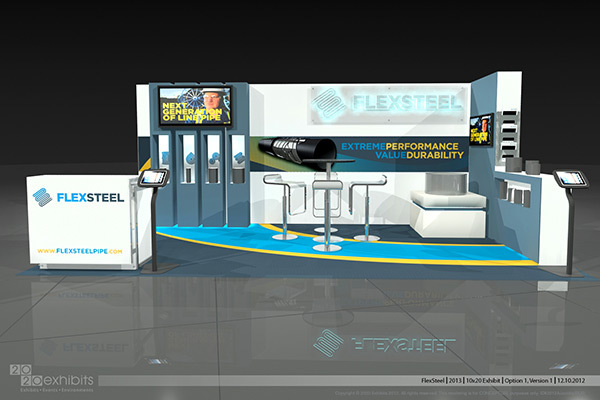 The steel frame of this exhibit booth provides a classy, professional feel to a presenter discussing the company. 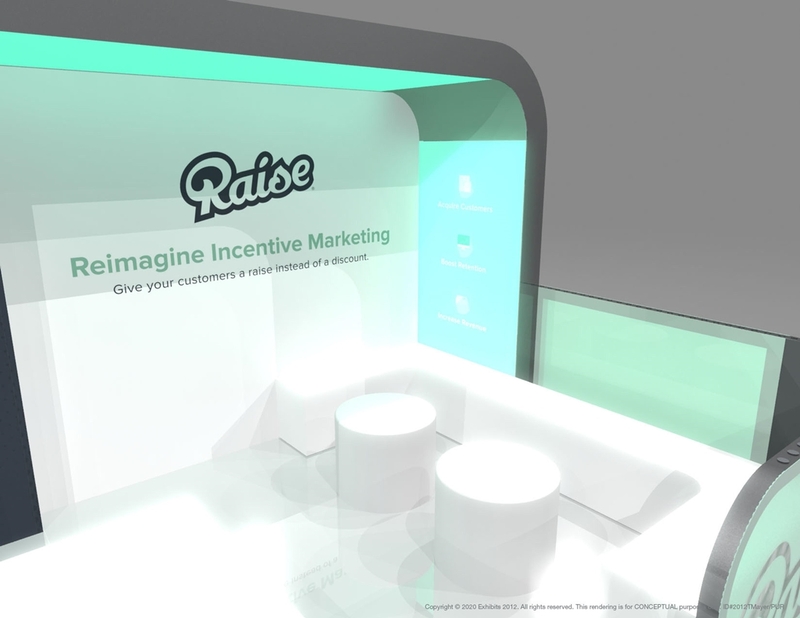 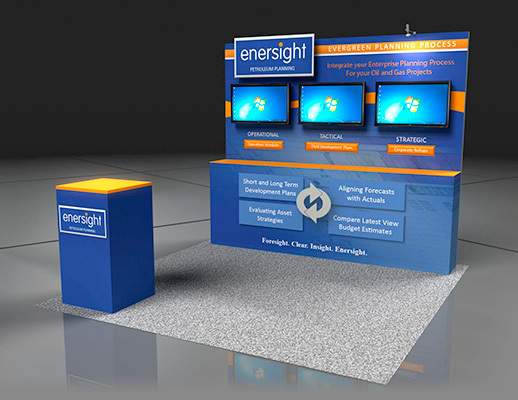 The video screen at the top and graphic backdrop provide an eye-grabbing presence for attendees walking by. 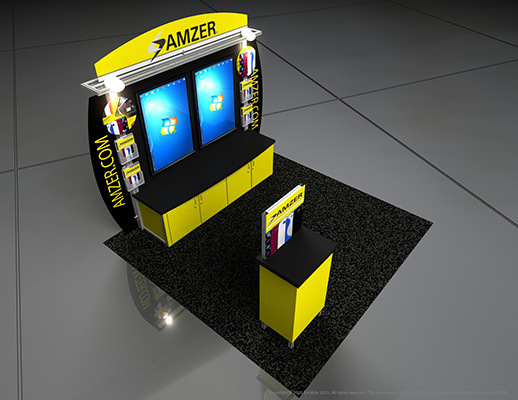 Striking use of lighting and logo placement also appears very appealing. 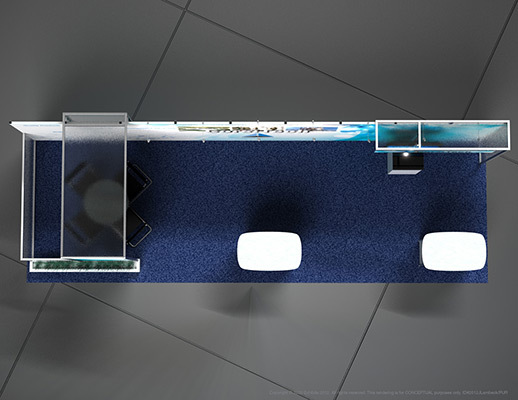 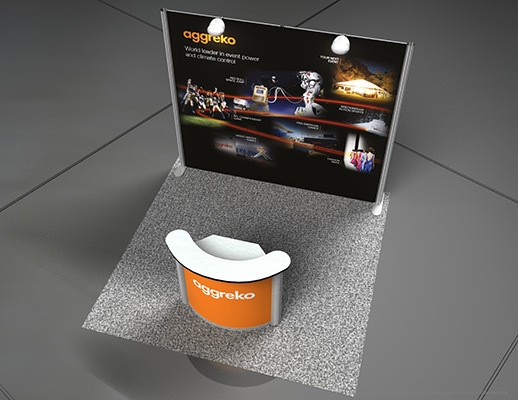 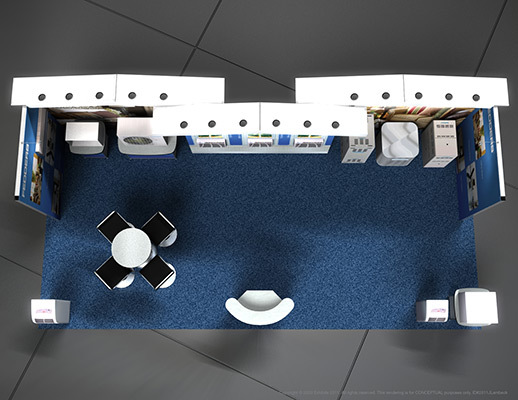 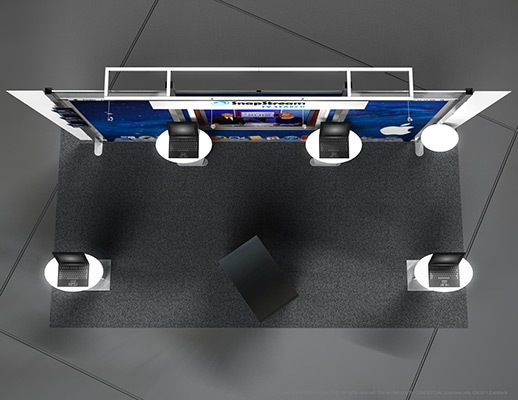 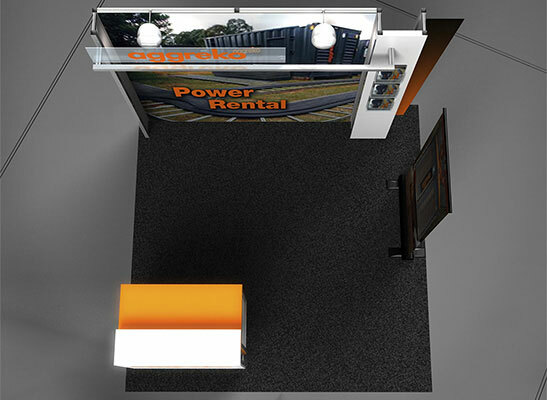 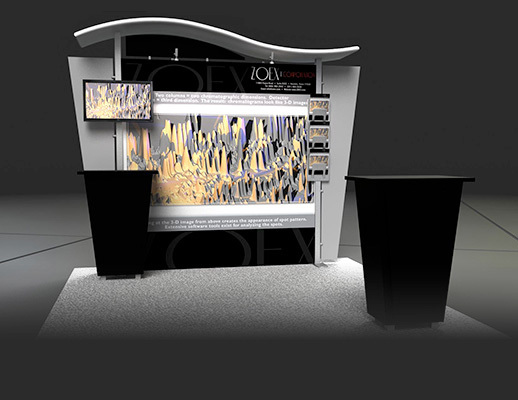 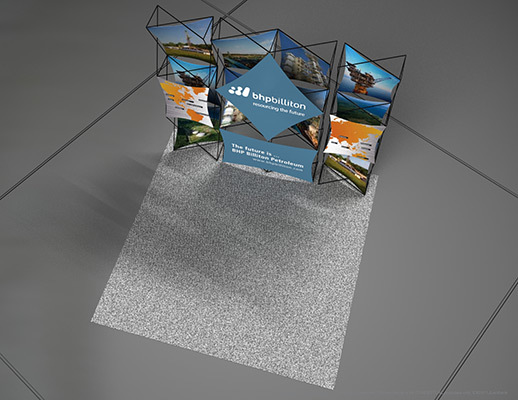 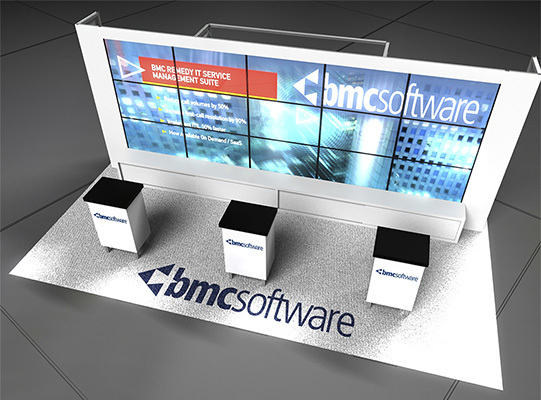 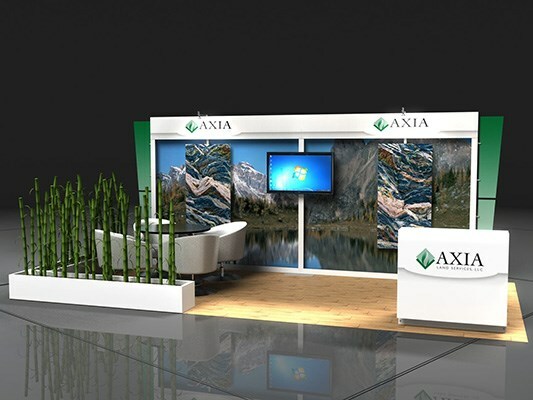 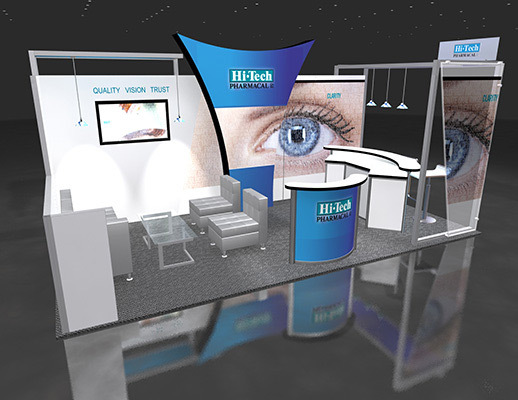 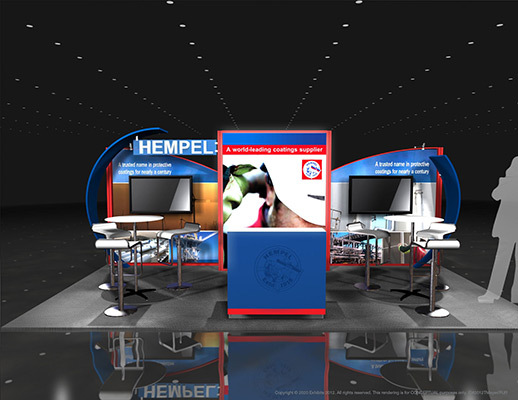 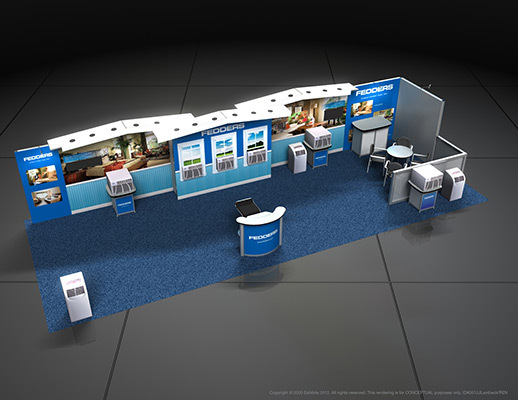 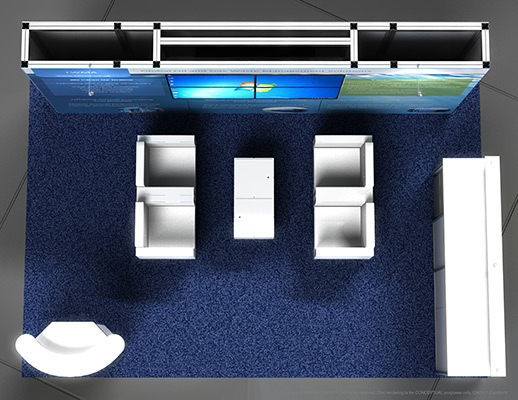 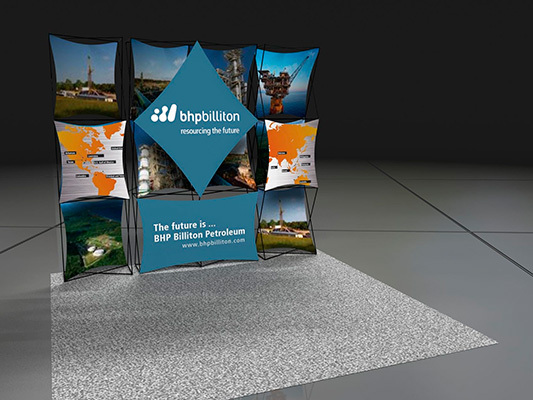 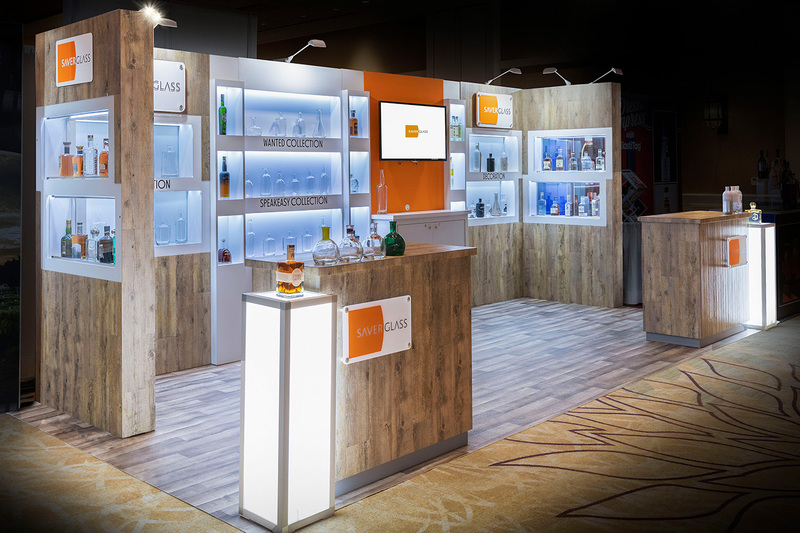 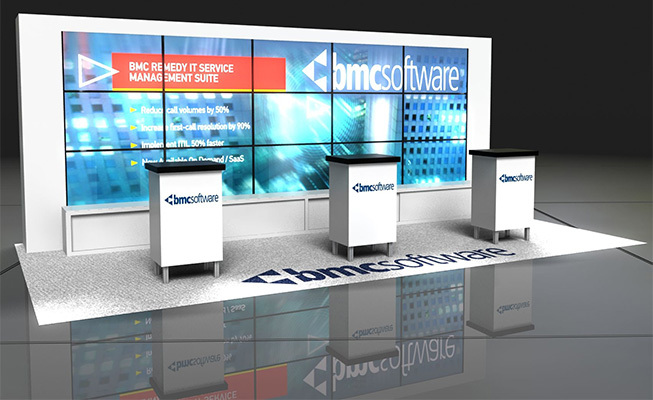 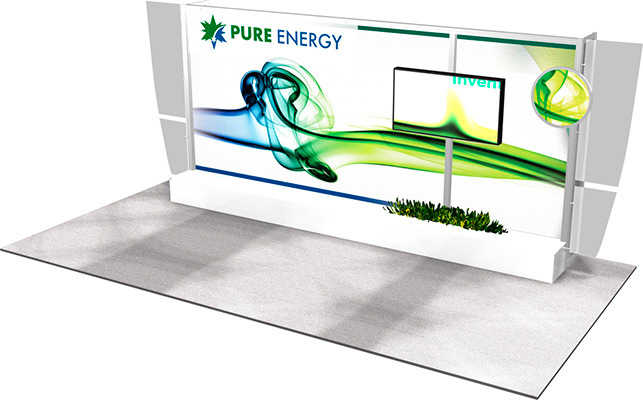 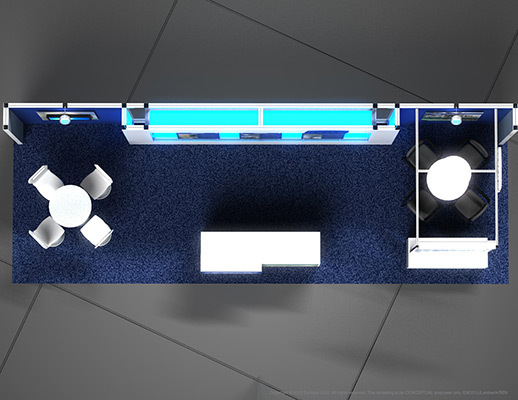 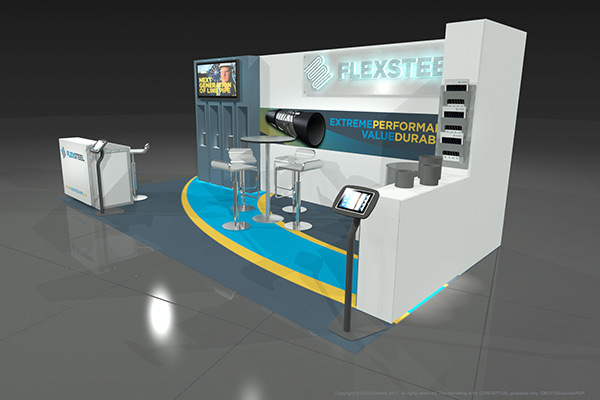 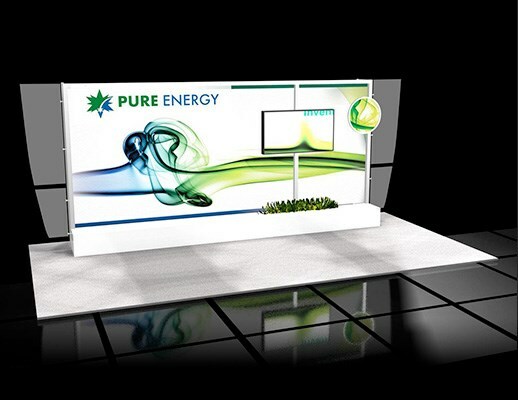 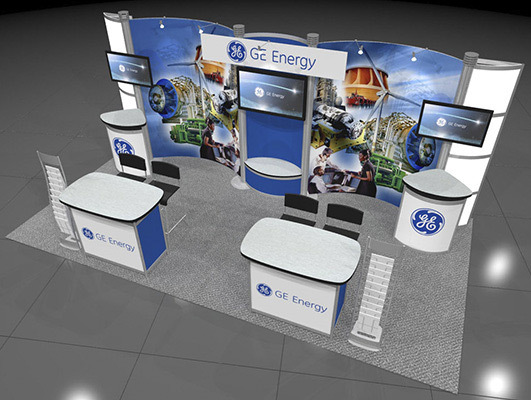 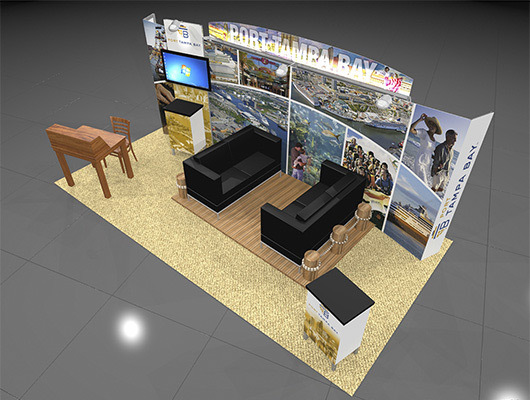 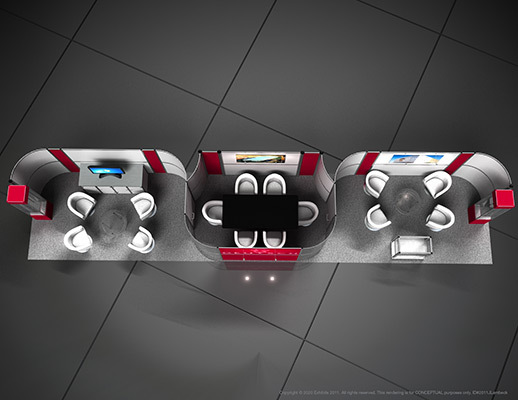 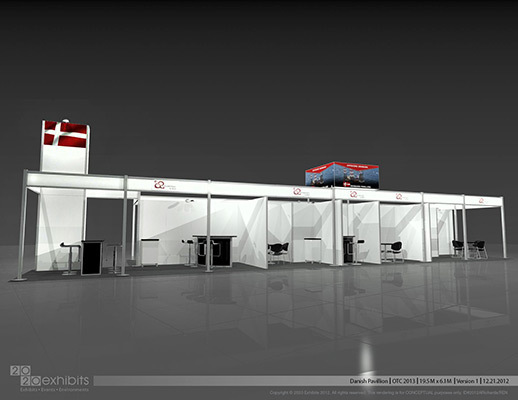 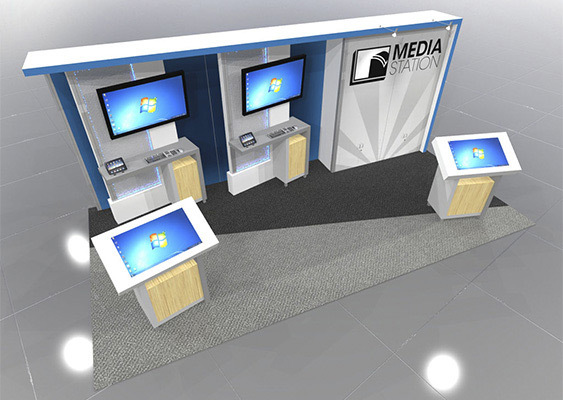 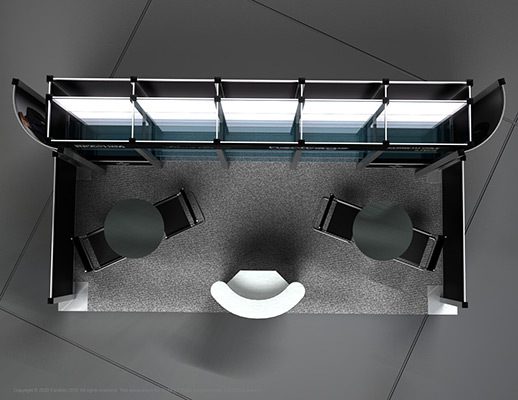 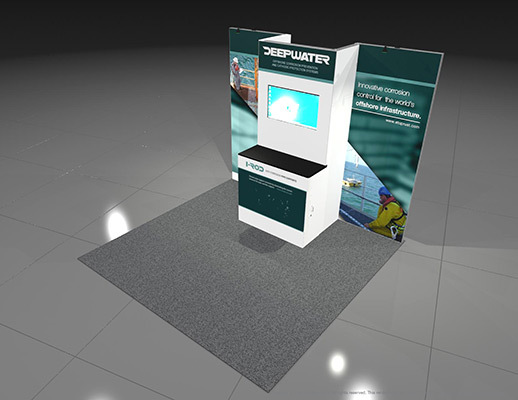 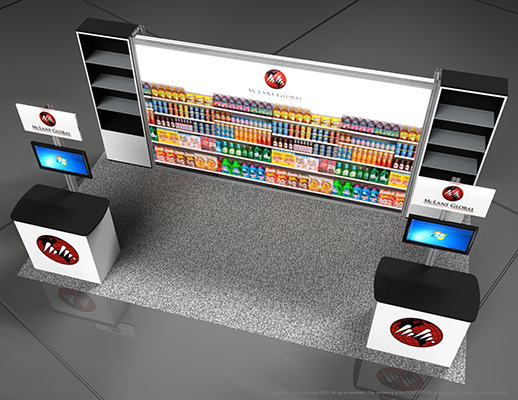 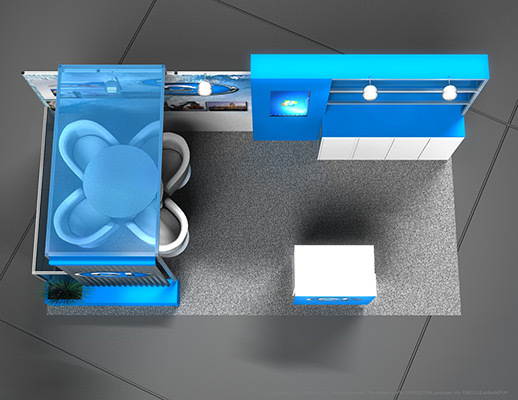 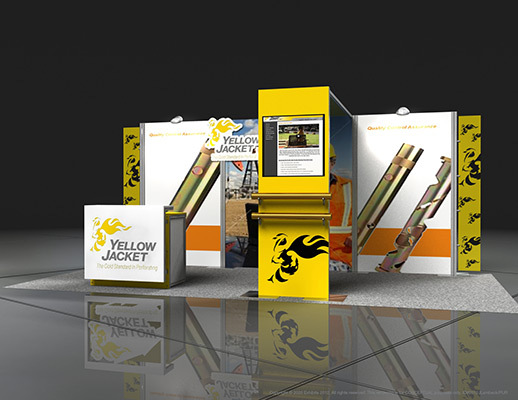 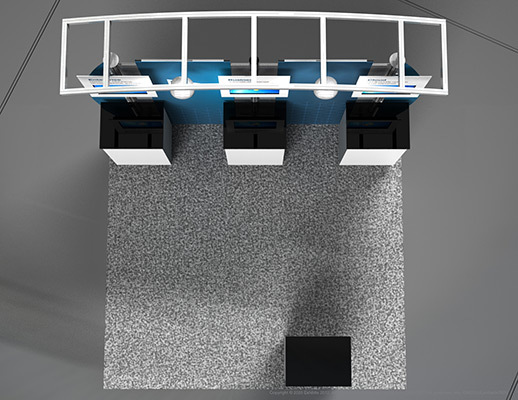 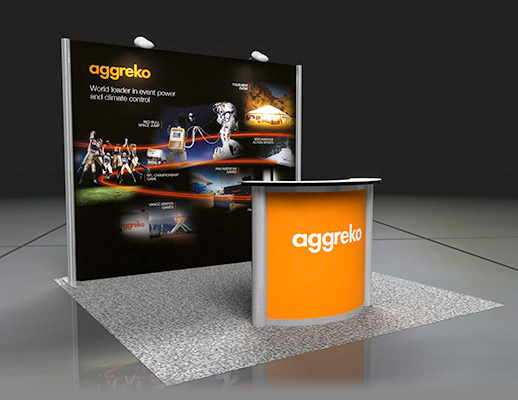 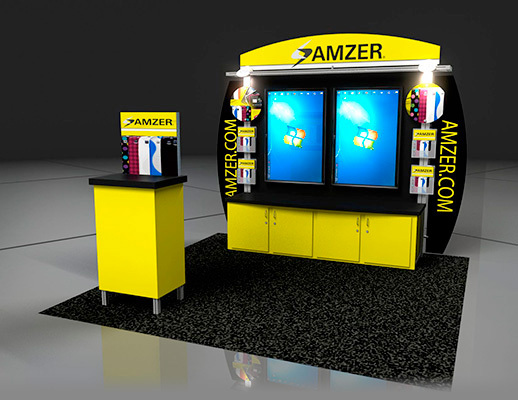 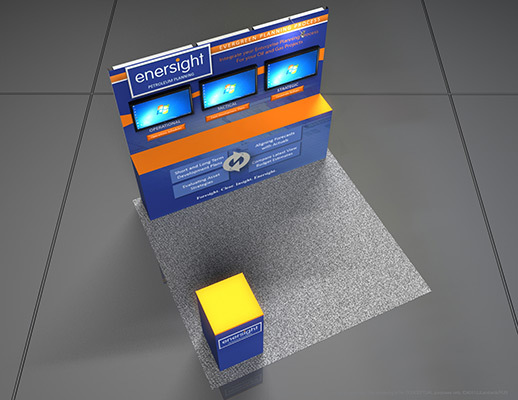 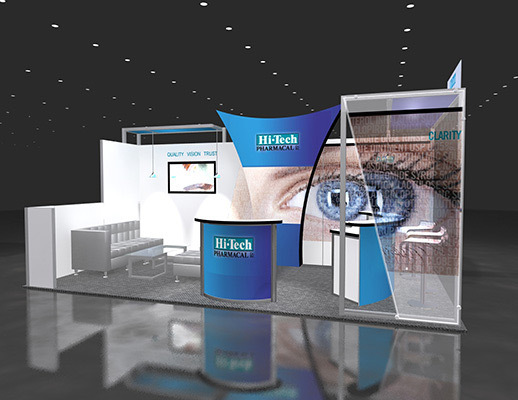 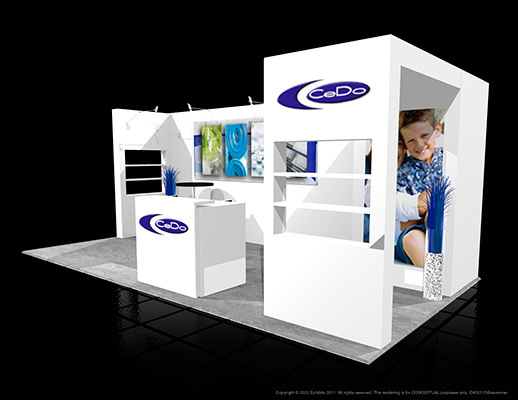 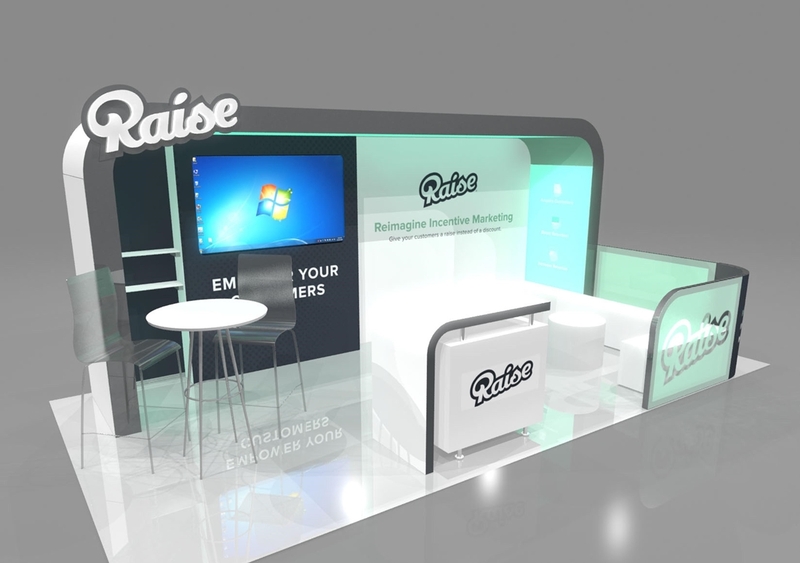 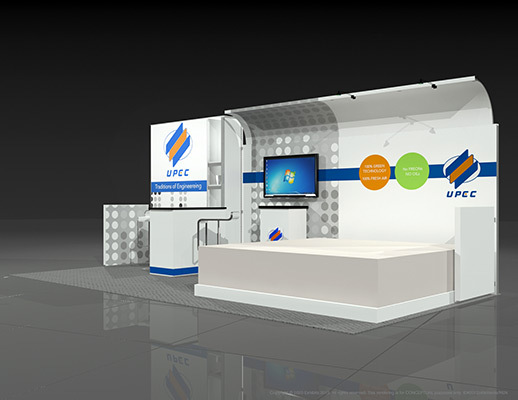 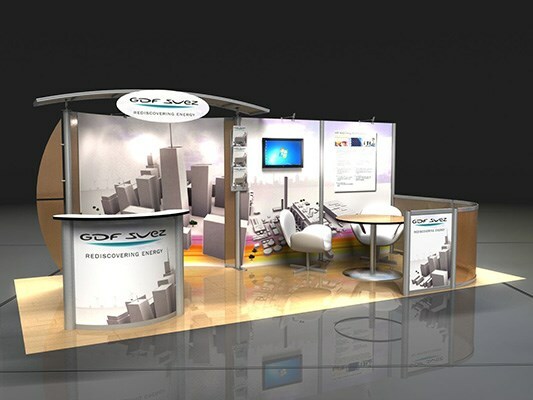 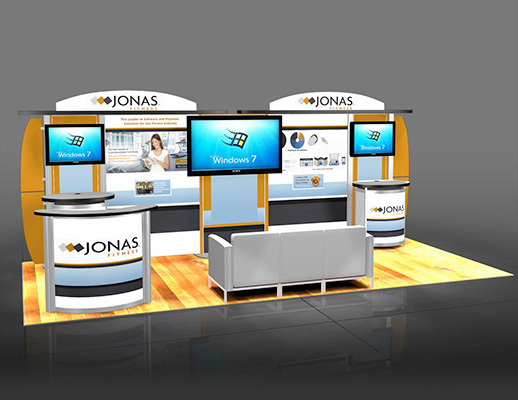 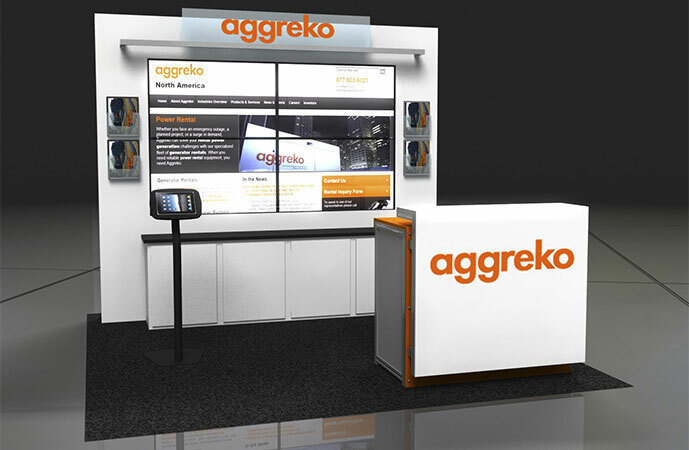 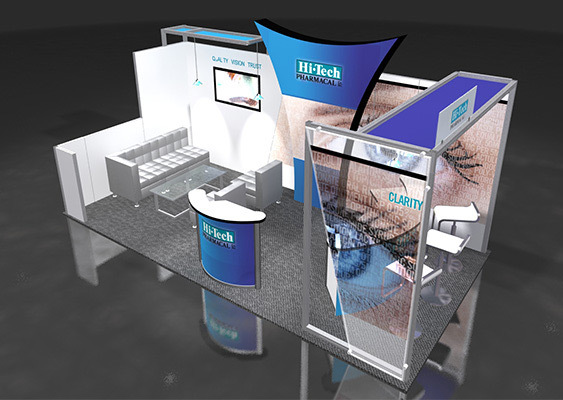 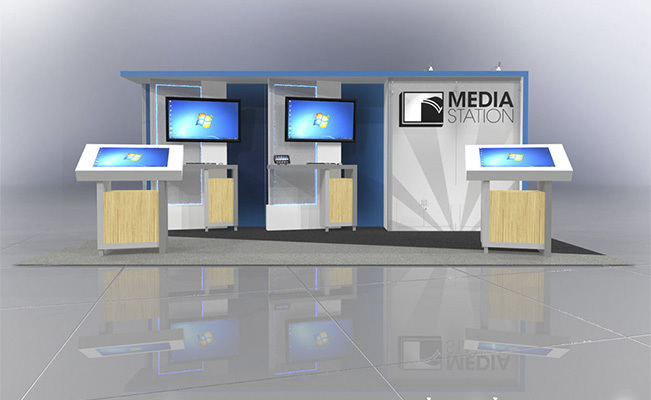 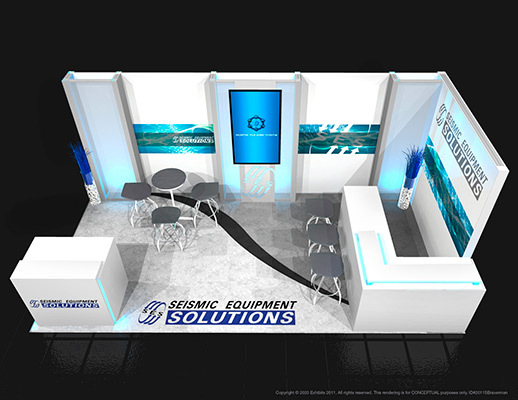 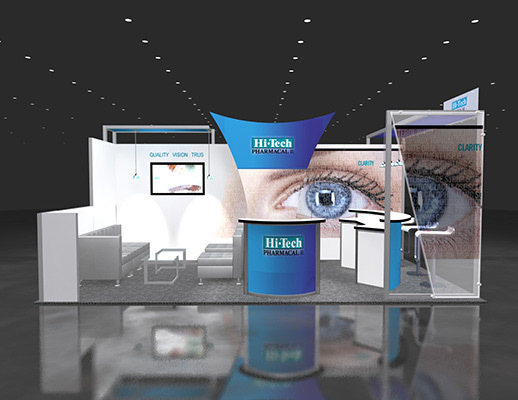 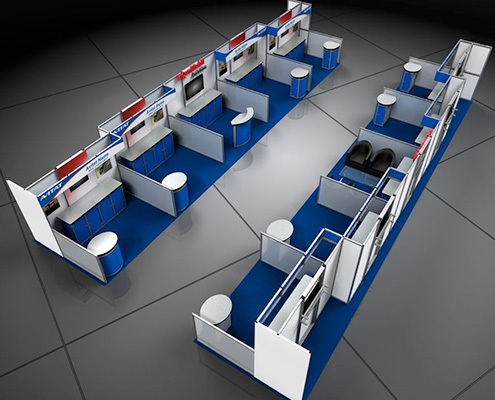 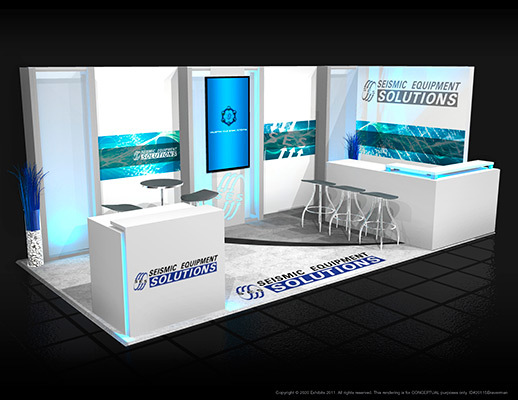 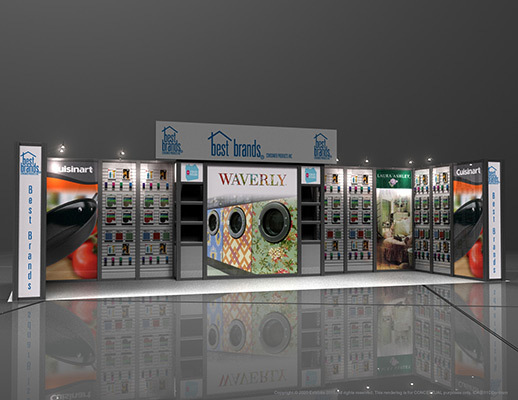 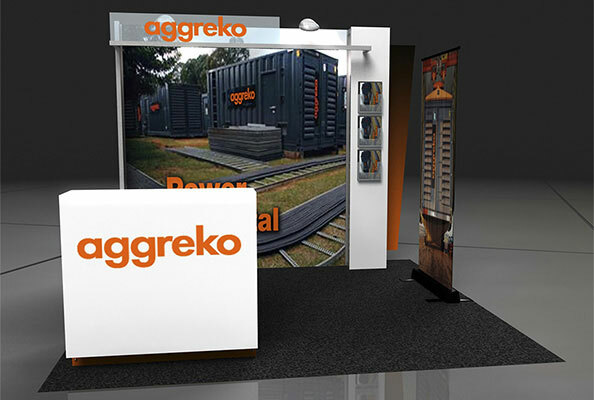 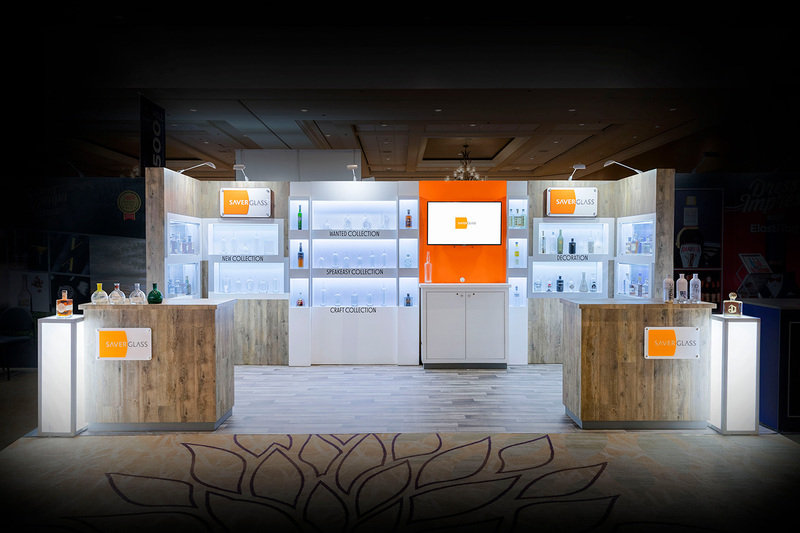 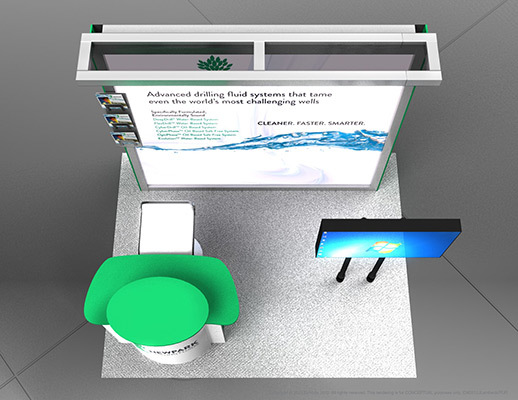 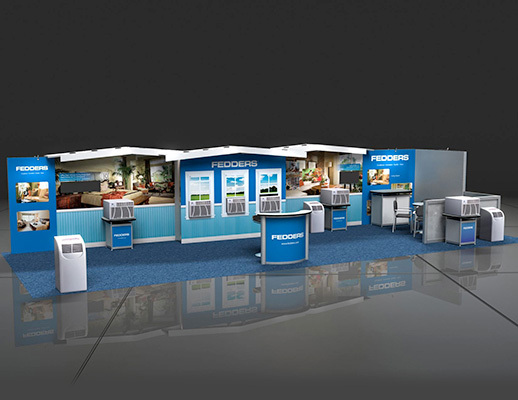 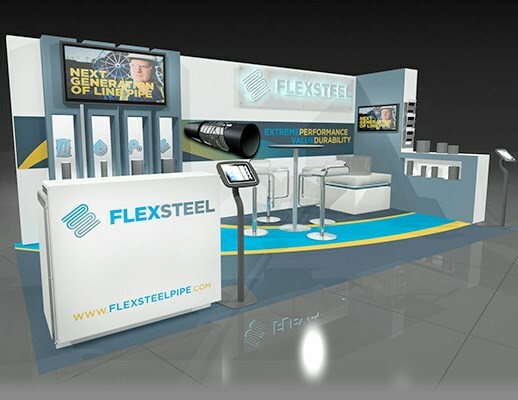 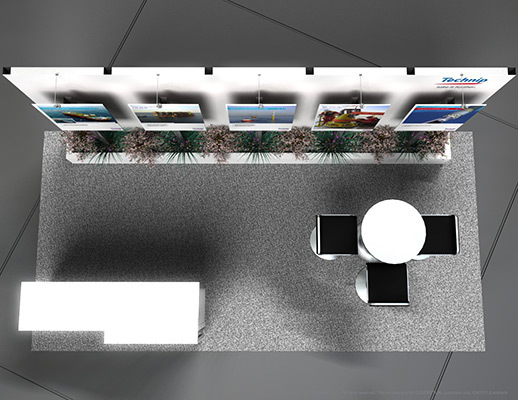 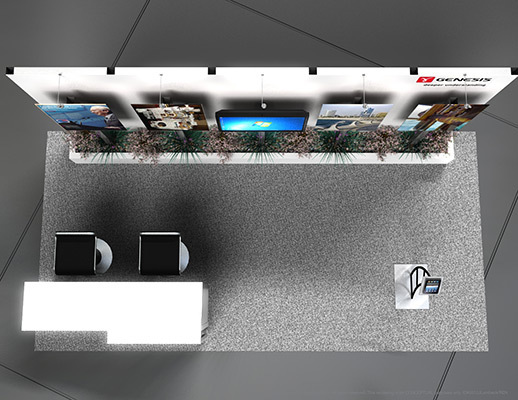 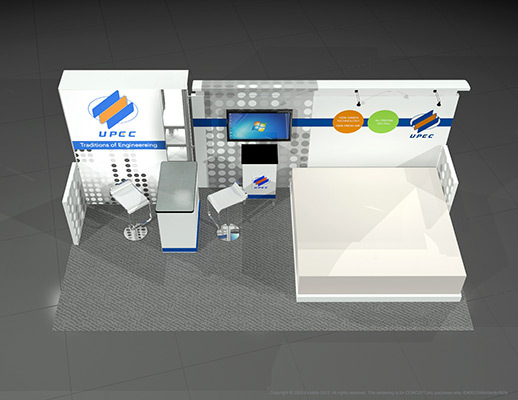 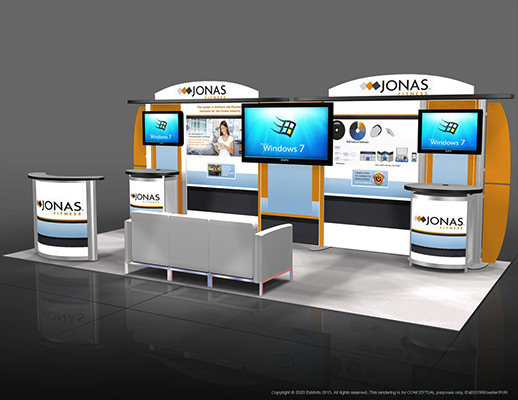 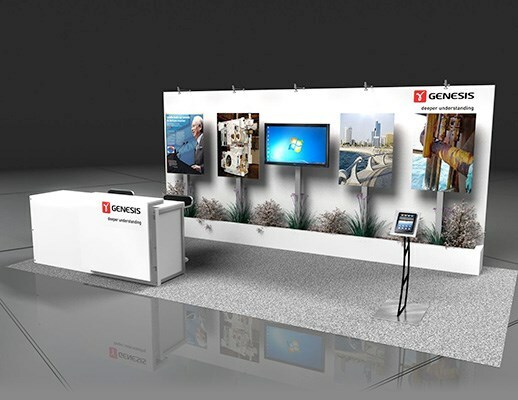 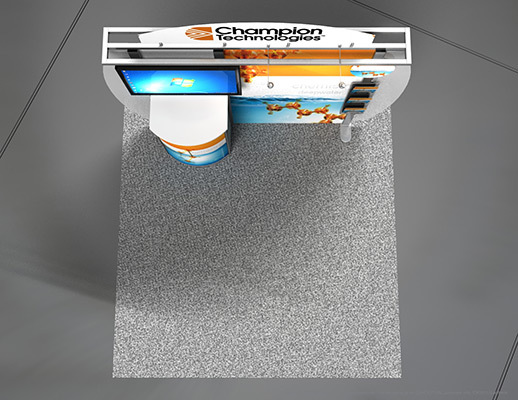 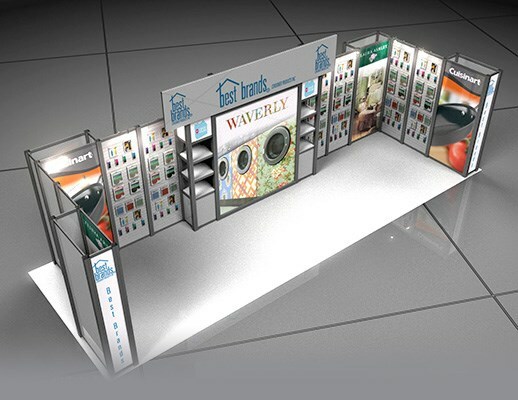 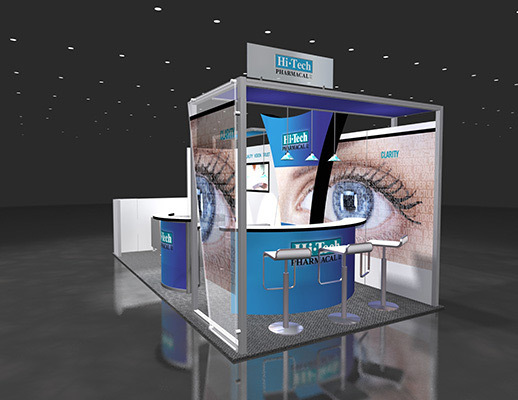 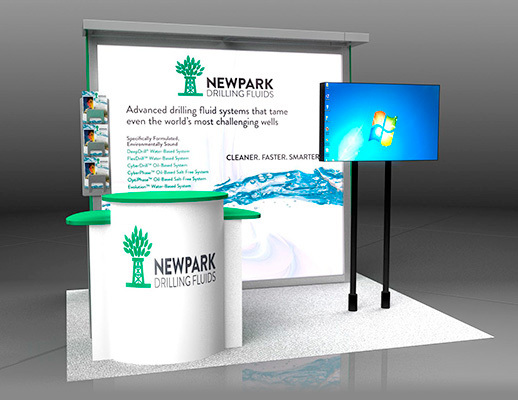 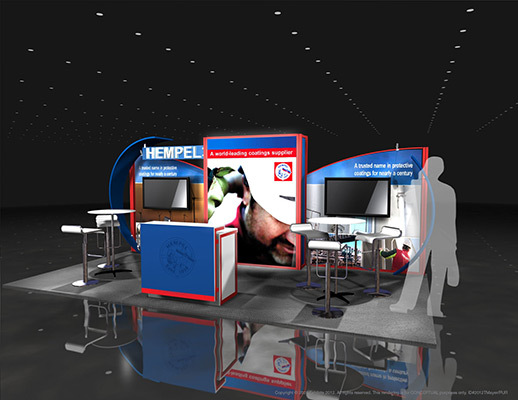 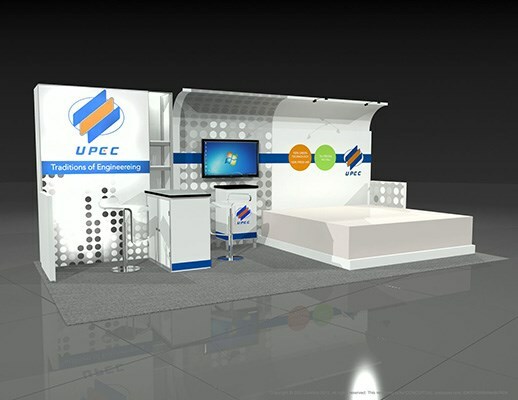 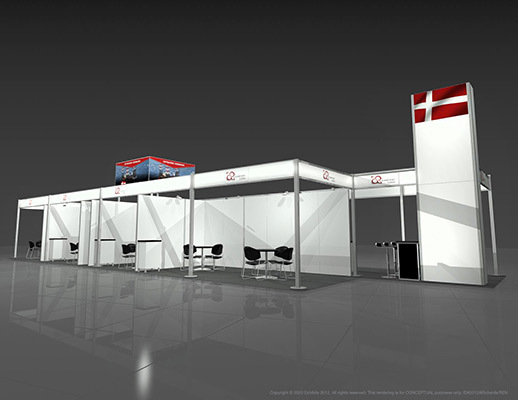 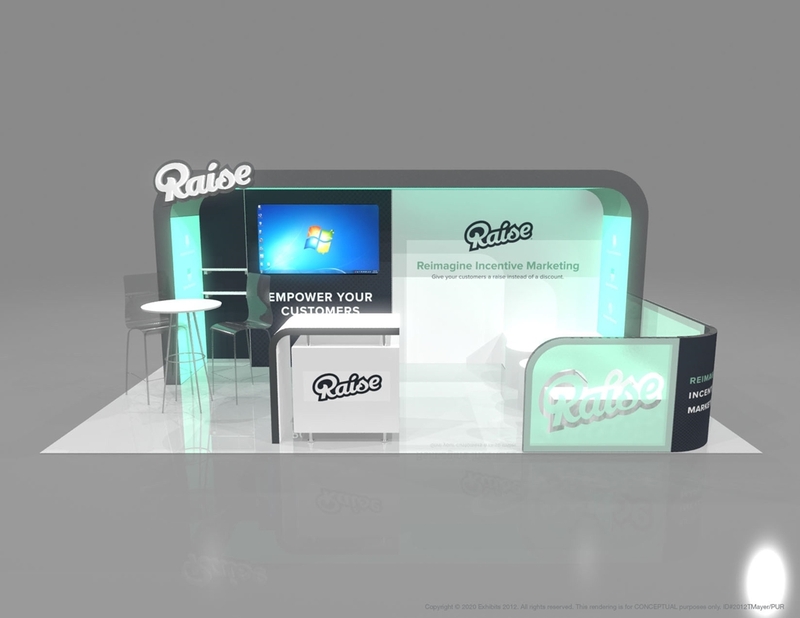 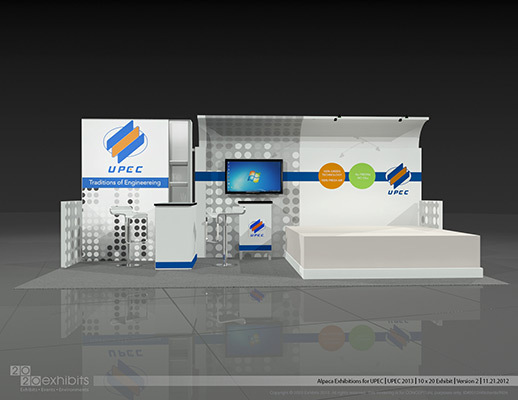 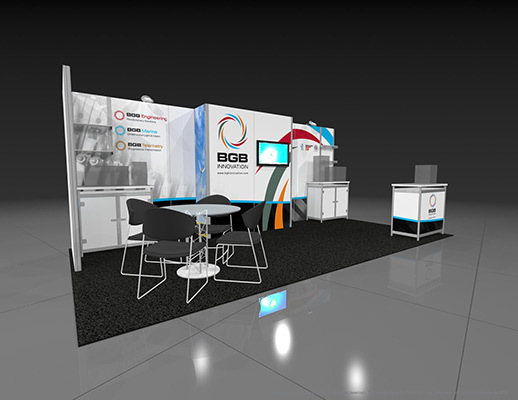 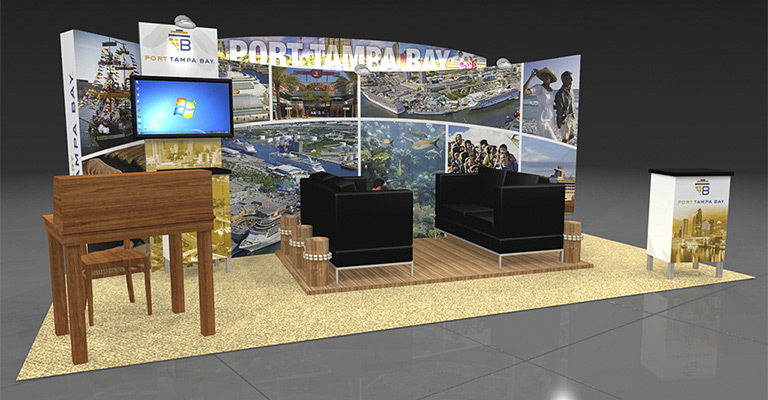 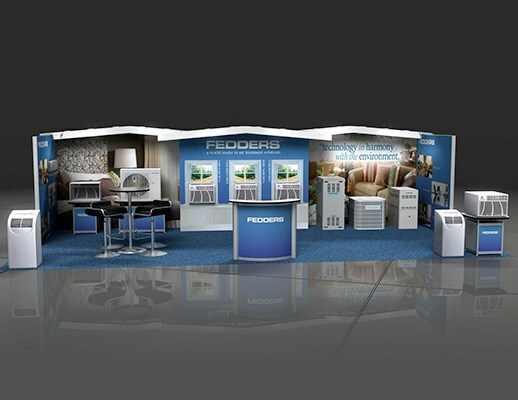 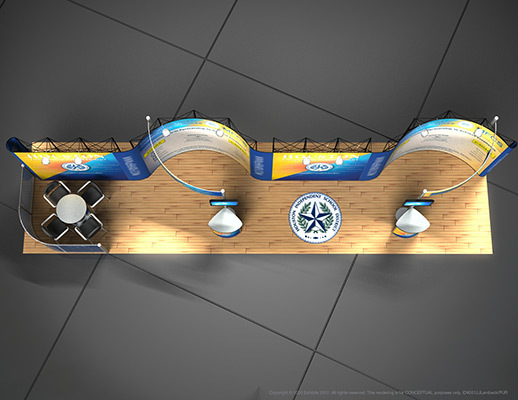 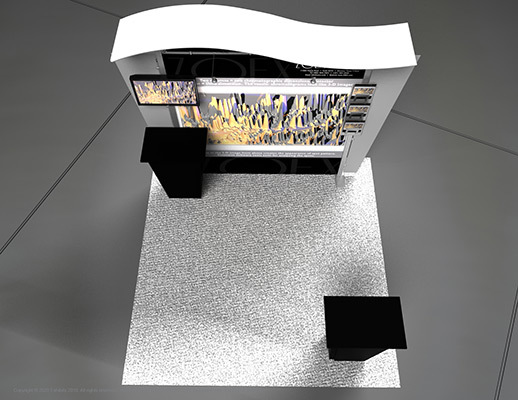 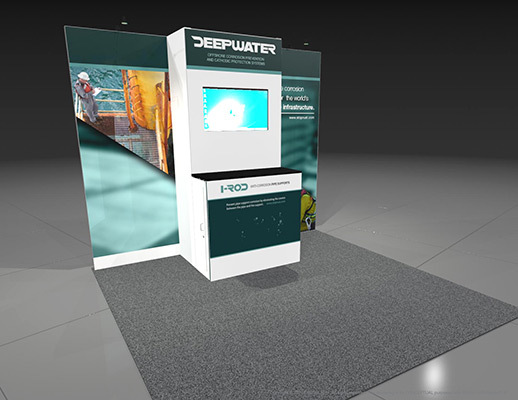 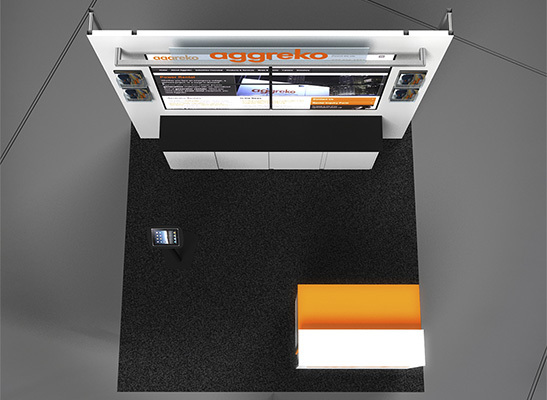 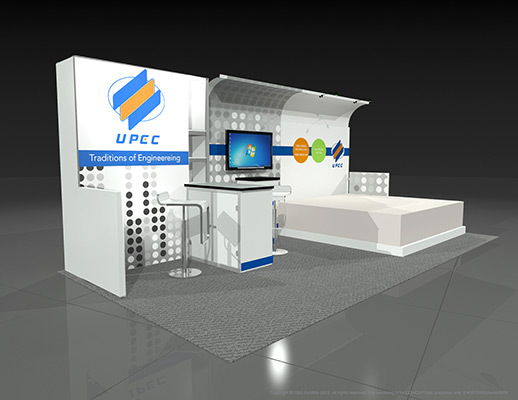 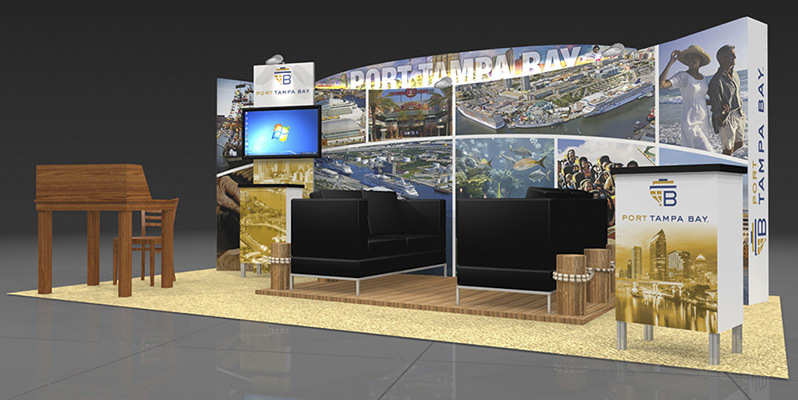 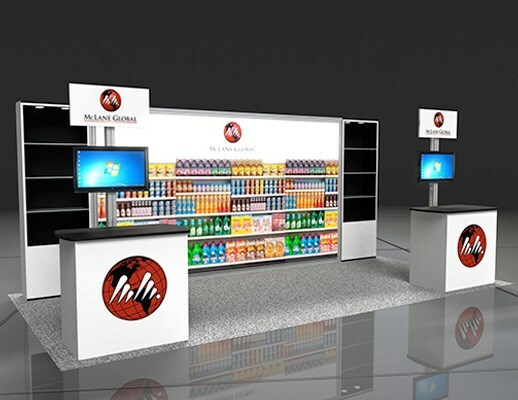 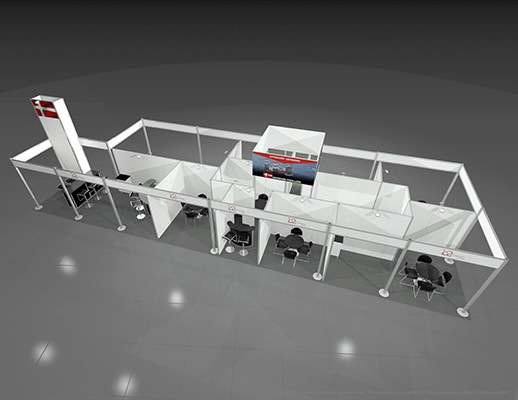 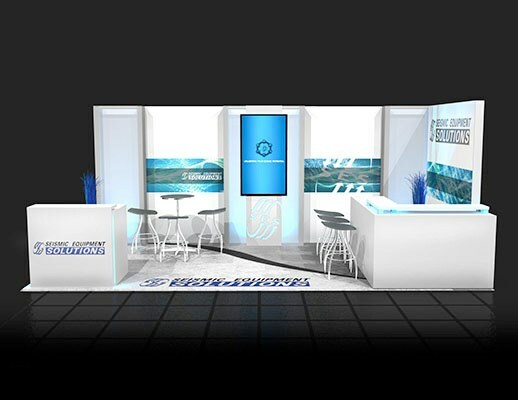 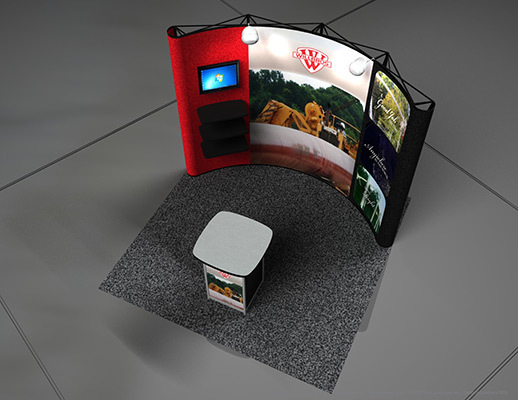 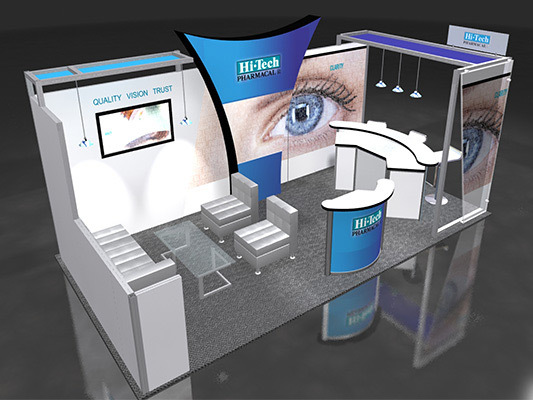 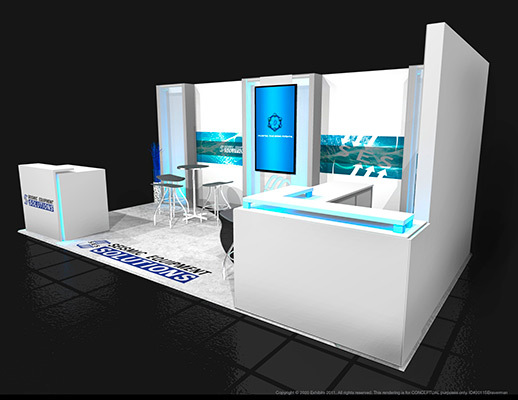 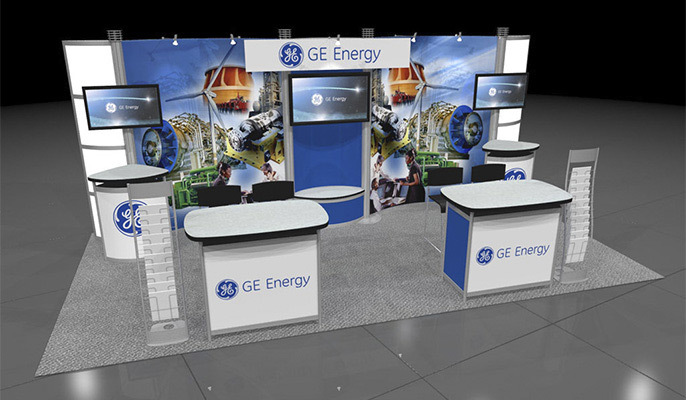 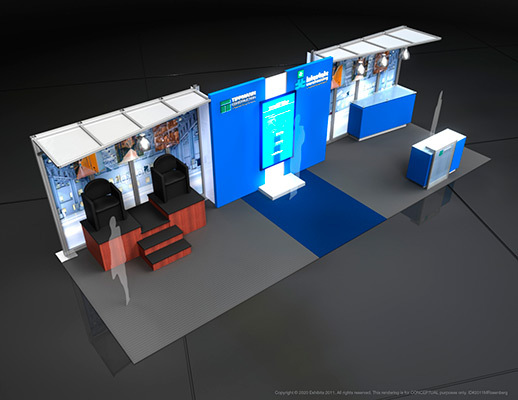 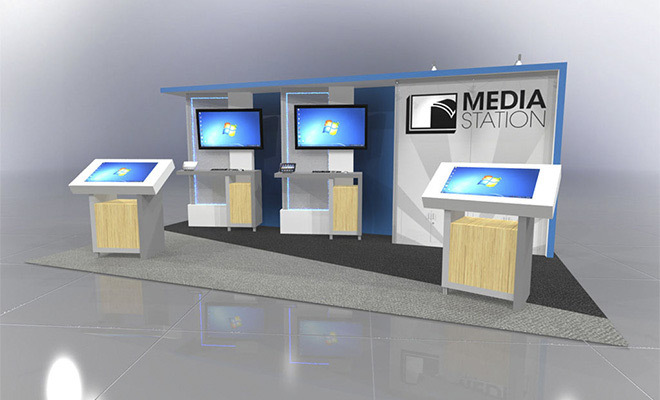 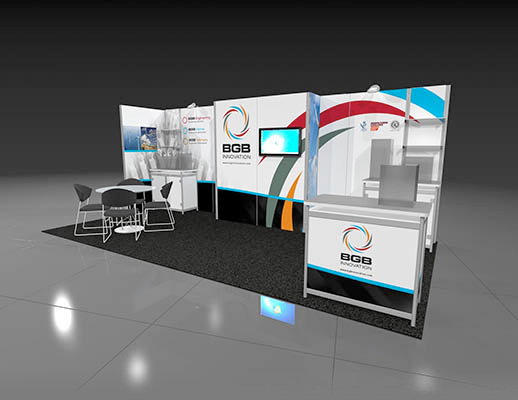 Features include: steel frame, video monitor, reception kiosk, graphic backdrop wall and multiple graphic logos.